EPA 31 MPG Hwy/22 MPG City! Bluetooth, iPod/MP3 Input, POPULAR APPEARANCE GROUP, TRANSMISSION: 9-SPEED 948TE AUTOMATIC... ENGINE: 2.4L I4 ZERO EVAP M-AIR W/ESS... Back-Up Camera. Latitude trim, Diamond Black Crystal P/C exterior AND MORE! KEY FEATURES INCLUDE Back-Up Camera, iPod/MP3 Input, Bluetooth, Aluminum Wheels. Rear Spoiler, MP3 Player, Keyless Entry, Child Safety Locks, Heated Mirrors. OPTION PACKAGES POPULAR APPEARANCE GROUP Deep Tint Sunscreen Glass, ENGINE: 2.4L I4 ZERO EVAP M-AIR W/ESS (STD), TRANSMISSION: 9-SPEED 948TE AUTOMATIC (STD). EXPERTS ARE SAYING Edmunds.com explains The steering is nicely weighted, feels direct, and even transmits some of the road texture to the driver. Bigger bumps are nicely filtered out. It's well-balanced all around, and there's a good sense of center when driving on the highway. . Great Gas Mileage: 31 MPG Hwy. OUR OFFERINGS At Shelor Motor Mile we have a price and payment to fit any budget. Our big selection means even bigger savings! Need extra spending money? Shelor wants your vehicle, and we're paying top dollar! Tax DMV Fees & $597 processing fee are not included in vehicle prices shown and must be paid by the purchaser. Vehicle information is based off standard equipment and may vary from vehicle to vehicle. Call or email for complete vehicle specific informatio Chevrolet Ford Chrysler Dodge Jeep & Ram prices include current factory rebates and incentives some of which may require financing through the manufacturer and/or the customer must own/trade a certain make of vehicle. Residency restrictions apply see dealer for details and restrictions. All pricing and details are believed to be accurate but we do not warrant or guarantee such accuracy. The prices shown above may vary from region to region as will incentives and are subject to change. Latitude trim, Billet Silver Metallic Clear Coat exterior. 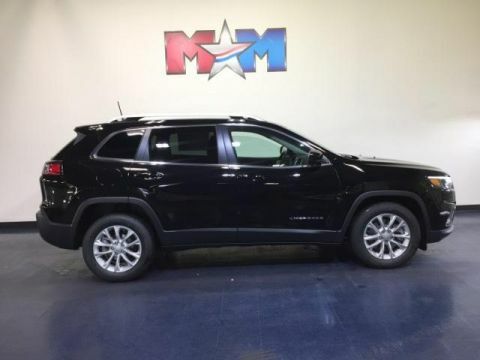 Bluetooth, iPod/MP3 Input, POPULAR APPEARANCE GROUP, TRANSMISSION: 9-SPEED 948TE AUTOMATIC... ENGINE: 2.4L I4 ZERO EVAP M-AIR W/ESS... EPA 31 MPG Hwy/22 MPG City! READ MORE! KEY FEATURES INCLUDE Back-Up Camera, iPod/MP3 Input, Bluetooth, Aluminum Wheels. Rear Spoiler, MP3 Player, Keyless Entry, Child Safety Locks, Heated Mirrors. OPTION PACKAGES POPULAR APPEARANCE GROUP Deep Tint Sunscreen Glass, ENGINE: 2.4L I4 ZERO EVAP M-AIR W/ESS (STD), TRANSMISSION: 9-SPEED 948TE AUTOMATIC (STD). EXPERTS ARE SAYING Edmunds.com's review says The steering is nicely weighted, feels direct, and even transmits some of the road texture to the driver. Bigger bumps are nicely filtered out. It's well-balanced all around, and there's a good sense of center when driving on the highway. . Great Gas Mileage: 31 MPG Hwy. OUR OFFERINGS At Shelor Motor Mile we have a price and payment to fit any budget. Our big selection means even bigger savings! Need extra spending money? Shelor wants your vehicle, and we're paying top dollar! Tax DMV Fees & $597 processing fee are not included in vehicle prices shown and must be paid by the purchaser. Vehicle information is based off standard equipment and may vary from vehicle to vehicle. Call or email for complete vehicle specific informatio Chevrolet Ford Chrysler Dodge Jeep & Ram prices include current factory rebates and incentives some of which may require financing through the manufacturer and/or the customer must own/trade a certain make of vehicle. Residency restrictions apply see dealer for details and restrictions. All pricing and details are believed to be accurate but we do not warrant or guarantee such accuracy. The prices shown above may vary from region to region as will incentives and are subject to change. Latitude trim, Diamond Black Crystal P/C exterior. FUEL EFFICIENT 31 MPG Hwy/22 MPG City! Bluetooth, iPod/MP3 Input, POPULAR APPEARANCE GROUP, TRANSMISSION: 9-SPEED 948TE AUTOMATIC... ENGINE: 2.4L I4 ZERO EVAP M-AIR W/ESS... SEE MORE! KEY FEATURES INCLUDE Back-Up Camera, iPod/MP3 Input, Bluetooth, Aluminum Wheels. Rear Spoiler, MP3 Player, Keyless Entry, Child Safety Locks, Heated Mirrors. OPTION PACKAGES POPULAR APPEARANCE GROUP Deep Tint Sunscreen Glass, ENGINE: 2.4L I4 ZERO EVAP M-AIR W/ESS (STD), TRANSMISSION: 9-SPEED 948TE AUTOMATIC (STD). EXPERTS CONCLUDE The steering is nicely weighted, feels direct, and even transmits some of the road texture to the driver. Bigger bumps are nicely filtered out. It's well-balanced all around, and there's a good sense of center when driving on the highway. -Edmunds.com. Great Gas Mileage: 31 MPG Hwy. VISIT US TODAY At Shelor Motor Mile we have a price and payment to fit any budget. Our big selection means even bigger savings! Need extra spending money? Shelor wants your vehicle, and we're paying top dollar! Tax DMV Fees & $597 processing fee are not included in vehicle prices shown and must be paid by the purchaser. Vehicle information is based off standard equipment and may vary from vehicle to vehicle. Call or email for complete vehicle specific informatio Chevrolet Ford Chrysler Dodge Jeep & Ram prices include current factory rebates and incentives some of which may require financing through the manufacturer and/or the customer must own/trade a certain make of vehicle. Residency restrictions apply see dealer for details and restrictions. All pricing and details are believed to be accurate but we do not warrant or guarantee such accuracy. The prices shown above may vary from region to region as will incentives and are subject to change. FUEL EFFICIENT 31 MPG Hwy/22 MPG City! Latitude trim, Light Brownstone Pearl Coat exterior. 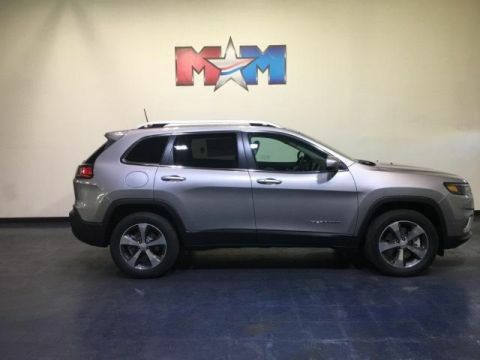 Bluetooth, iPod/MP3 Input, POPULAR APPEARANCE GROUP, TRANSMISSION: 9-SPEED 948TE AUTOMATIC... ENGINE: 2.4L I4 ZERO EVAP M-AIR W/ESS... READ MORE! KEY FEATURES INCLUDE Back-Up Camera, iPod/MP3 Input, Bluetooth, Aluminum Wheels. Rear Spoiler, MP3 Player, Keyless Entry, Child Safety Locks, Heated Mirrors. OPTION PACKAGES POPULAR APPEARANCE GROUP Deep Tint Sunscreen Glass, ENGINE: 2.4L I4 ZERO EVAP M-AIR W/ESS (STD), TRANSMISSION: 9-SPEED 948TE AUTOMATIC (STD). EXPERTS ARE SAYING The steering is nicely weighted, feels direct, and even transmits some of the road texture to the driver. Bigger bumps are nicely filtered out. It's well-balanced all around, and there's a good sense of center when driving on the highway. -Edmunds.com. Great Gas Mileage: 31 MPG Hwy. VISIT US TODAY At Shelor Motor Mile we have a price and payment to fit any budget. Our big selection means even bigger savings! Need extra spending money? Shelor wants your vehicle, and we're paying top dollar! Tax DMV Fees & $597 processing fee are not included in vehicle prices shown and must be paid by the purchaser. Vehicle information is based off standard equipment and may vary from vehicle to vehicle. Call or email for complete vehicle specific informatio Chevrolet Ford Chrysler Dodge Jeep & Ram prices include current factory rebates and incentives some of which may require financing through the manufacturer and/or the customer must own/trade a certain make of vehicle. Residency restrictions apply see dealer for details and restrictions. All pricing and details are believed to be accurate but we do not warrant or guarantee such accuracy. The prices shown above may vary from region to region as will incentives and are subject to change. Latitude trim, Diamond Black Crystal P/C exterior. iPod/MP3 Input, Bluetooth, ENGINE: 2.4L I4 ZERO EVAP M-AIR W/ESS... POPULAR APPEARANCE GROUP, TRANSMISSION: 9-SPEED 948TE AUTOMATIC... Back-Up Camera. EPA 31 MPG Hwy/22 MPG City! CLICK ME! KEY FEATURES INCLUDE Back-Up Camera, iPod/MP3 Input, Bluetooth, Aluminum Wheels Rear Spoiler, MP3 Player, Keyless Entry, Child Safety Locks, Heated Mirrors. OPTION PACKAGES POPULAR APPEARANCE GROUP Deep Tint Sunscreen Glass, SIRIUSXM SATELLITE RADIO For More Info, Call 800-643-2112, No Satellite Coverage HI/AK/PR/VI, 1-Year SiriusXM Radio Service, TRANSMISSION: 9-SPEED 948TE AUTOMATIC (STD), ENGINE: 2.4L I4 ZERO EVAP M-AIR W/ESS (STD). EXPERTS ARE SAYING The steering is nicely weighted, feels direct, and even transmits some of the road texture to the driver. Bigger bumps are nicely filtered out. It's well-balanced all around, and there's a good sense of center when driving on the highway. -Edmunds.com. Great Gas Mileage: 31 MPG Hwy. WHY BUY FROM US At Shelor Motor Mile we have a price and payment to fit any budget. Our big selection means even bigger savings! Need extra spending money? Shelor wants your vehicle, and we're paying top dollar! Tax DMV Fees & $597 processing fee are not included in vehicle prices shown and must be paid by the purchaser. Vehicle information is based off standard equipment and may vary from vehicle to vehicle. Call or email for complete vehicle specific informatio Chevrolet Ford Chrysler Dodge Jeep & Ram prices include current factory rebates and incentives some of which may require financing through the manufacturer and/or the customer must own/trade a certain make of vehicle. Residency restrictions apply see dealer for details and restrictions. All pricing and details are believed to be accurate but we do not warrant or guarantee such accuracy. The prices shown above may vary from region to region as will incentives and are subject to change. Latitude trim, Velvet Red Pearl Coat exterior. 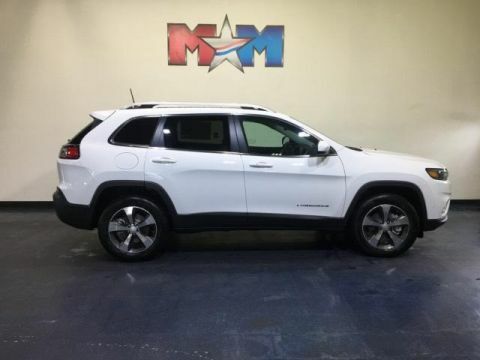 Bluetooth, Smart Device Integration, ENGINE: 2.4L I4 ZERO EVAP M-AIR W/ESS... POPULAR APPEARANCE GROUP, TRANSMISSION: 9-SPEED 948TE AUTOMATIC... EPA 31 MPG Hwy/22 MPG City! AND MORE! KEY FEATURES INCLUDE Back-Up Camera, iPod/MP3 Input, Bluetooth, Aluminum Wheels, Smart Device Integration Rear Spoiler, MP3 Player, Keyless Entry, Child Safety Locks, Electronic Stability Control. OPTION PACKAGES POPULAR APPEARANCE GROUP Deep Tint Sunscreen Glass, ENGINE: 2.4L I4 ZERO EVAP M-AIR W/ESS (STD), TRANSMISSION: 9-SPEED 948TE AUTOMATIC (STD). EXPERTS ARE SAYING Edmunds.com explains The steering is nicely weighted, feels direct, and even transmits some of the road texture to the driver. Bigger bumps are nicely filtered out. It's well-balanced all around, and there's a good sense of center when driving on the highway. . Great Gas Mileage: 31 MPG Hwy. VISIT US TODAY At Shelor Motor Mile we have a price and payment to fit any budget. Our big selection means even bigger savings! Need extra spending money? Shelor wants your vehicle, and we're paying top dollar! Tax DMV Fees & $597 processing fee are not included in vehicle prices shown and must be paid by the purchaser. Vehicle information is based off standard equipment and may vary from vehicle to vehicle. Call or email for complete vehicle specific informatio Chevrolet Ford Chrysler Dodge Jeep & Ram prices include current factory rebates and incentives some of which may require financing through the manufacturer and/or the customer must own/trade a certain make of vehicle. Residency restrictions apply see dealer for details and restrictions. All pricing and details are believed to be accurate but we do not warrant or guarantee such accuracy. The prices shown above may vary from region to region as will incentives and are subject to change. Bluetooth, Smart Device Integration, ENGINE: 2.4L I4 ZERO EVAP M-AIR W/ESS... POPULAR APPEARANCE GROUP, iPod/MP3 Input, Back-Up Camera. Latitude trim, Billet Silver Metallic Clear Coat exterior. EPA 31 MPG Hwy/22 MPG City! CLICK NOW! KEY FEATURES INCLUDE Back-Up Camera, iPod/MP3 Input, Bluetooth, Aluminum Wheels, Smart Device Integration Rear Spoiler, MP3 Player, Keyless Entry, Child Safety Locks, Electronic Stability Control. OPTION PACKAGES POPULAR APPEARANCE GROUP Deep Tint Sunscreen Glass, ENGINE: 2.4L I4 ZERO EVAP M-AIR W/ESS (STD), TRANSMISSION: 9-SPEED 948TE AUTOMATIC (STD). EXPERTS REPORT Edmunds.com's review says The steering is nicely weighted, feels direct, and even transmits some of the road texture to the driver. Bigger bumps are nicely filtered out. It's well-balanced all around, and there's a good sense of center when driving on the highway. . Great Gas Mileage: 31 MPG Hwy. BUY FROM AN AWARD WINNING DEALER At Shelor Motor Mile we have a price and payment to fit any budget. Our big selection means even bigger savings! Need extra spending money? Shelor wants your vehicle, and we're paying top dollar! Tax DMV Fees & $597 processing fee are not included in vehicle prices shown and must be paid by the purchaser. Vehicle information is based off standard equipment and may vary from vehicle to vehicle. 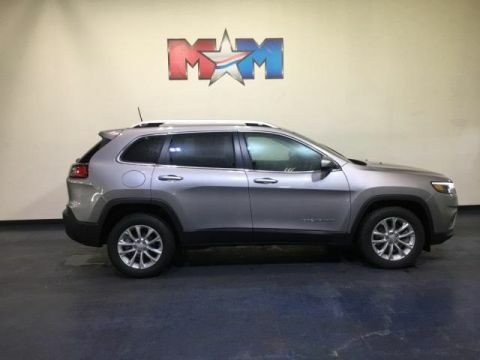 Call or email for complete vehicle specific informatio Chevrolet Ford Chrysler Dodge Jeep & Ram prices include current factory rebates and incentives some of which may require financing through the manufacturer and/or the customer must own/trade a certain make of vehicle. Residency restrictions apply see dealer for details and restrictions. All pricing and details are believed to be accurate but we do not warrant or guarantee such accuracy. The prices shown above may vary from region to region as will incentives and are subject to change. EPA 31 MPG Hwy/22 MPG City! Latitude trim, Bright White Clear Coat exterior. Bluetooth, Smart Device Integration, ENGINE: 2.4L I4 ZERO EVAP M-AIR W/ESS... POPULAR APPEARANCE GROUP, TRANSMISSION: 9-SPEED 948TE AUTOMATIC... AND MORE! KEY FEATURES INCLUDE Back-Up Camera, iPod/MP3 Input, Bluetooth, Aluminum Wheels, Smart Device Integration Rear Spoiler, MP3 Player, Keyless Entry, Child Safety Locks, Electronic Stability Control. OPTION PACKAGES POPULAR APPEARANCE GROUP Deep Tint Sunscreen Glass, ENGINE: 2.4L I4 ZERO EVAP M-AIR W/ESS (STD), TRANSMISSION: 9-SPEED 948TE AUTOMATIC (STD). EXPERTS CONCLUDE The steering is nicely weighted, feels direct, and even transmits some of the road texture to the driver. Bigger bumps are nicely filtered out. It's well-balanced all around, and there's a good sense of center when driving on the highway. -Edmunds.com. Great Gas Mileage: 31 MPG Hwy. BUY FROM AN AWARD WINNING DEALER At Shelor Motor Mile we have a price and payment to fit any budget. Our big selection means even bigger savings! Need extra spending money? Shelor wants your vehicle, and we're paying top dollar! Tax DMV Fees & $597 processing fee are not included in vehicle prices shown and must be paid by the purchaser. Vehicle information is based off standard equipment and may vary from vehicle to vehicle. Call or email for complete vehicle specific informatio Chevrolet Ford Chrysler Dodge Jeep & Ram prices include current factory rebates and incentives some of which may require financing through the manufacturer and/or the customer must own/trade a certain make of vehicle. Residency restrictions apply see dealer for details and restrictions. All pricing and details are believed to be accurate but we do not warrant or guarantee such accuracy. The prices shown above may vary from region to region as will incentives and are subject to change. Velvet Red Pearl Coat exterior, Latitude trim. Bluetooth, Smart Device Integration, iPod/MP3 Input, ENGINE: 2.4L I4 ZERO EVAP M-AIR W/ESS... POPULAR APPEARANCE GROUP, Back-Up Camera, 4x4. EPA 29 MPG Hwy/21 MPG City! CLICK ME! KEY FEATURES INCLUDE 4x4, Back-Up Camera, iPod/MP3 Input, Bluetooth, Aluminum Wheels, Smart Device Integration Rear Spoiler, MP3 Player, Keyless Entry, Child Safety Locks, Heated Mirrors. OPTION PACKAGES POPULAR APPEARANCE GROUP Deep Tint Sunscreen Glass, ENGINE: 2.4L I4 ZERO EVAP M-AIR W/ESS (STD), TRANSMISSION: 9-SPEED 948TE AUTOMATIC (STD). EXPERTS CONCLUDE The steering is nicely weighted, feels direct, and even transmits some of the road texture to the driver. Bigger bumps are nicely filtered out. It's well-balanced all around, and there's a good sense of center when driving on the highway. -Edmunds.com. Great Gas Mileage: 29 MPG Hwy. BUY FROM AN AWARD WINNING DEALER At Shelor Motor Mile we have a price and payment to fit any budget. Our big selection means even bigger savings! Need extra spending money? Shelor wants your vehicle, and we're paying top dollar! Tax DMV Fees & $597 processing fee are not included in vehicle prices shown and must be paid by the purchaser. Vehicle information is based off standard equipment and may vary from vehicle to vehicle. 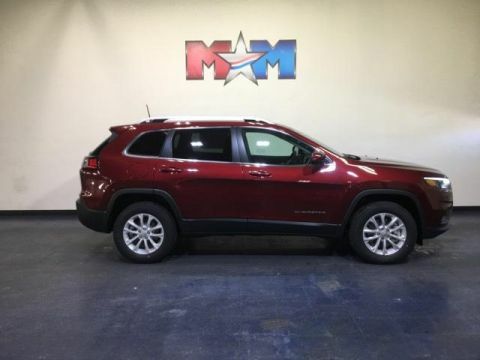 Call or email for complete vehicle specific informatio Chevrolet Ford Chrysler Dodge Jeep & Ram prices include current factory rebates and incentives some of which may require financing through the manufacturer and/or the customer must own/trade a certain make of vehicle. Residency restrictions apply see dealer for details and restrictions. All pricing and details are believed to be accurate but we do not warrant or guarantee such accuracy. The prices shown above may vary from region to region as will incentives and are subject to change. Light Brownstone Pearl Coat exterior, Latitude trim. iPod/MP3 Input, Bluetooth, Smart Device Integration, ENGINE: 2.4L I4 ZERO EVAP M-AIR W/ESS... POPULAR APPEARANCE GROUP, Back-Up Camera. FUEL EFFICIENT 29 MPG Hwy/21 MPG City! AND MORE! KEY FEATURES INCLUDE 4x4, Back-Up Camera, iPod/MP3 Input, Bluetooth, Aluminum Wheels, Smart Device Integration. Rear Spoiler, MP3 Player, Keyless Entry, Child Safety Locks, Heated Mirrors. OPTION PACKAGES POPULAR APPEARANCE GROUP Deep Tint Sunscreen Glass, SIRIUSXM SATELLITE RADIO For More Info, Call 800-643-2112, No Satellite Coverage HI/AK/PR/VI, 1-Year SiriusXM Radio Service, TRANSMISSION: 9-SPEED 948TE AUTOMATIC (STD), ENGINE: 2.4L I4 ZERO EVAP M-AIR W/ESS (STD). EXPERTS ARE SAYING Edmunds.com's review says The steering is nicely weighted, feels direct, and even transmits some of the road texture to the driver. Bigger bumps are nicely filtered out. It's well-balanced all around, and there's a good sense of center when driving on the highway. . Great Gas Mileage: 29 MPG Hwy. BUY FROM AN AWARD WINNING DEALER At Shelor Motor Mile we have a price and payment to fit any budget. Our big selection means even bigger savings! Need extra spending money? Shelor wants your vehicle, and we're paying top dollar! Tax DMV Fees & $597 processing fee are not included in vehicle prices shown and must be paid by the purchaser. Vehicle information is based off standard equipment and may vary from vehicle to vehicle. Call or email for complete vehicle specific informatio Chevrolet Ford Chrysler Dodge Jeep & Ram prices include current factory rebates and incentives some of which may require financing through the manufacturer and/or the customer must own/trade a certain make of vehicle. Residency restrictions apply see dealer for details and restrictions. All pricing and details are believed to be accurate but we do not warrant or guarantee such accuracy. The prices shown above may vary from region to region as will incentives and are subject to change. Heated Seats, Bluetooth, Smart Device Integration, iPod/MP3 Input, TRANSMISSION: 9-SPEED 948TE AUTOMATIC... POPULAR APPEARANCE GROUP, COLD WEATHER GROUP. EPA 29 MPG Hwy/21 MPG City! 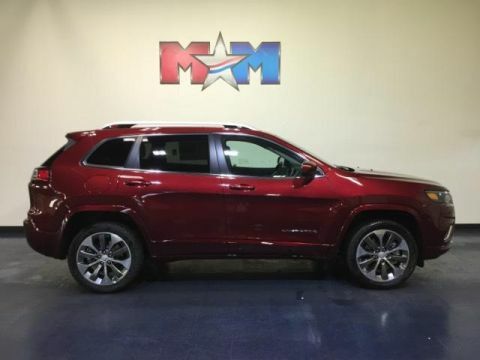 Latitude trim, Velvet Red Pearl Coat exterior READ MORE! KEY FEATURES INCLUDE 4x4, Back-Up Camera, iPod/MP3 Input, Bluetooth, Aluminum Wheels, Smart Device Integration Rear Spoiler, MP3 Player, Keyless Entry, Child Safety Locks, Electronic Stability Control. OPTION PACKAGES COLD WEATHER GROUP Leather Wrapped Steering Wheel, Engine Block Heater, Heated Front Seats, Steering Wheel Mounted Audio Controls, Windshield Wiper De-Icer, Remote Start System, All-Season Floor Mats, Heated Steering Wheel, POPULAR APPEARANCE GROUP Deep Tint Sunscreen Glass, ENGINE: 2.4L I4 ZERO EVAP M-AIR W/ESS (STD), TRANSMISSION: 9-SPEED 948TE AUTOMATIC (STD). EXPERTS ARE SAYING The steering is nicely weighted, feels direct, and even transmits some of the road texture to the driver. Bigger bumps are nicely filtered out. It's well-balanced all around, and there's a good sense of center when driving on the highway. -Edmunds.com. Great Gas Mileage: 29 MPG Hwy. BUY FROM AN AWARD WINNING DEALER At Shelor Motor Mile we have a price and payment to fit any budget. Our big selection means even bigger savings! Need extra spending money? Shelor wants your vehicle, and we're paying top dollar! Tax DMV Fees & $597 processing fee are not included in vehicle prices shown and must be paid by the purchaser. Vehicle information is based off standard equipment and may vary from vehicle to vehicle. Call or email for complete vehicle specific informatio Chevrolet Ford Chrysler Dodge Jeep & Ram prices include current factory rebates and incentives some of which may require financing through the manufacturer and/or the customer must own/trade a certain make of vehicle. Residency restrictions apply see dealer for details and restrictions. All pricing and details are believed to be accurate but we do not warrant or guarantee such accuracy. The prices shown above may vary from region to region as will incentives and are subject to change. Heated Seats, Bluetooth, Smart Device Integration, iPod/MP3 Input, TRANSMISSION: 9-SPEED 948TE AUTOMATIC... POPULAR APPEARANCE GROUP. Velvet Red Pearl Coat exterior, Latitude trim. FUEL EFFICIENT 29 MPG Hwy/21 MPG City! SEE MORE! KEY FEATURES INCLUDE 4x4, Back-Up Camera, iPod/MP3 Input, Bluetooth, Aluminum Wheels, Smart Device Integration. Rear Spoiler, MP3 Player, Keyless Entry, Child Safety Locks, Electronic Stability Control. OPTION PACKAGES COLD WEATHER GROUP Leather Wrapped Steering Wheel, Engine Block Heater, Heated Front Seats, Steering Wheel Mounted Audio Controls, Windshield Wiper De-Icer, Remote Start System, All-Season Floor Mats, Heated Steering Wheel, POPULAR APPEARANCE GROUP Deep Tint Sunscreen Glass, ENGINE: 2.4L I4 ZERO EVAP M-AIR W/ESS (STD), TRANSMISSION: 9-SPEED 948TE AUTOMATIC (STD). EXPERTS RAVE Edmunds.com explains The steering is nicely weighted, feels direct, and even transmits some of the road texture to the driver. Bigger bumps are nicely filtered out. It's well-balanced all around, and there's a good sense of center when driving on the highway. . Great Gas Mileage: 29 MPG Hwy. VISIT US TODAY At Shelor Motor Mile we have a price and payment to fit any budget. Our big selection means even bigger savings! Need extra spending money? Shelor wants your vehicle, and we're paying top dollar! Tax DMV Fees & $597 processing fee are not included in vehicle prices shown and must be paid by the purchaser. Vehicle information is based off standard equipment and may vary from vehicle to vehicle. 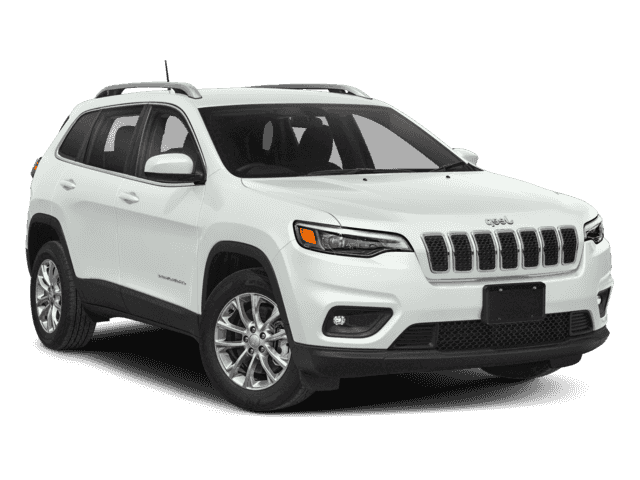 Call or email for complete vehicle specific informatio Chevrolet Ford Chrysler Dodge Jeep & Ram prices include current factory rebates and incentives some of which may require financing through the manufacturer and/or the customer must own/trade a certain make of vehicle. Residency restrictions apply see dealer for details and restrictions. All pricing and details are believed to be accurate but we do not warrant or guarantee such accuracy. The prices shown above may vary from region to region as will incentives and are subject to change. Heated Seats, Bluetooth, Smart Device Integration, iPod/MP3 Input, TRANSMISSION: 9-SPEED 948TE AUTOMATIC... POPULAR APPEARANCE GROUP. Latitude trim, Billet Silver Metallic Clear Coat exterior. FUEL EFFICIENT 29 MPG Hwy/21 MPG City! SEE MORE! KEY FEATURES INCLUDE 4x4, Back-Up Camera, iPod/MP3 Input, Bluetooth, Aluminum Wheels, Smart Device Integration. Rear Spoiler, MP3 Player, Keyless Entry, Child Safety Locks, Electronic Stability Control. OPTION PACKAGES COLD WEATHER GROUP Leather Wrapped Steering Wheel, Engine Block Heater, Heated Front Seats, Steering Wheel Mounted Audio Controls, Windshield Wiper De-Icer, Remote Start System, All-Season Floor Mats, Heated Steering Wheel, POPULAR APPEARANCE GROUP Deep Tint Sunscreen Glass, ENGINE: 2.4L I4 ZERO EVAP M-AIR W/ESS (STD), TRANSMISSION: 9-SPEED 948TE AUTOMATIC (STD). EXPERTS RAVE The steering is nicely weighted, feels direct, and even transmits some of the road texture to the driver. Bigger bumps are nicely filtered out. It's well-balanced all around, and there's a good sense of center when driving on the highway. -Edmunds.com. Great Gas Mileage: 29 MPG Hwy. BUY FROM AN AWARD WINNING DEALER At Shelor Motor Mile we have a price and payment to fit any budget. Our big selection means even bigger savings! Need extra spending money? Shelor wants your vehicle, and we're paying top dollar! Tax DMV Fees & $597 processing fee are not included in vehicle prices shown and must be paid by the purchaser. Vehicle information is based off standard equipment and may vary from vehicle to vehicle. Call or email for complete vehicle specific informatio Chevrolet Ford Chrysler Dodge Jeep & Ram prices include current factory rebates and incentives some of which may require financing through the manufacturer and/or the customer must own/trade a certain make of vehicle. Residency restrictions apply see dealer for details and restrictions. All pricing and details are believed to be accurate but we do not warrant or guarantee such accuracy. The prices shown above may vary from region to region as will incentives and are subject to change. Heated Seats, Bluetooth, Smart Device Integration, iPod/MP3 Input, TRANSMISSION: 9-SPEED 948TE AUTOMATIC... POPULAR APPEARANCE GROUP. EPA 29 MPG Hwy/21 MPG City! Latitude trim, Billet Silver Metallic Clear Coat exterior CLICK ME! KEY FEATURES INCLUDE 4x4, Back-Up Camera, iPod/MP3 Input, Bluetooth, Aluminum Wheels, Smart Device Integration Rear Spoiler, MP3 Player, Keyless Entry, Child Safety Locks, Electronic Stability Control. OPTION PACKAGES COLD WEATHER GROUP Leather Wrapped Steering Wheel, Engine Block Heater, Heated Front Seats, Steering Wheel Mounted Audio Controls, Windshield Wiper De-Icer, Remote Start System, All-Season Floor Mats, Heated Steering Wheel, POPULAR APPEARANCE GROUP Deep Tint Sunscreen Glass, ENGINE: 2.4L I4 ZERO EVAP M-AIR W/ESS (STD), TRANSMISSION: 9-SPEED 948TE AUTOMATIC (STD). EXPERTS ARE SAYING The steering is nicely weighted, feels direct, and even transmits some of the road texture to the driver. Bigger bumps are nicely filtered out. It's well-balanced all around, and there's a good sense of center when driving on the highway. -Edmunds.com. Great Gas Mileage: 29 MPG Hwy. MORE ABOUT US At Shelor Motor Mile we have a price and payment to fit any budget. Our big selection means even bigger savings! Need extra spending money? Shelor wants your vehicle, and we're paying top dollar! Tax DMV Fees & $597 processing fee are not included in vehicle prices shown and must be paid by the purchaser. Vehicle information is based off standard equipment and may vary from vehicle to vehicle. Call or email for complete vehicle specific informatio Chevrolet Ford Chrysler Dodge Jeep & Ram prices include current factory rebates and incentives some of which may require financing through the manufacturer and/or the customer must own/trade a certain make of vehicle. Residency restrictions apply see dealer for details and restrictions. All pricing and details are believed to be accurate but we do not warrant or guarantee such accuracy. The prices shown above may vary from region to region as will incentives and are subject to change. Heated Seats, Bluetooth, Smart Device Integration, iPod/MP3 Input, TRANSMISSION: 9-SPEED 948TE AUTOMATIC... POPULAR APPEARANCE GROUP. FUEL EFFICIENT 29 MPG Hwy/21 MPG City! 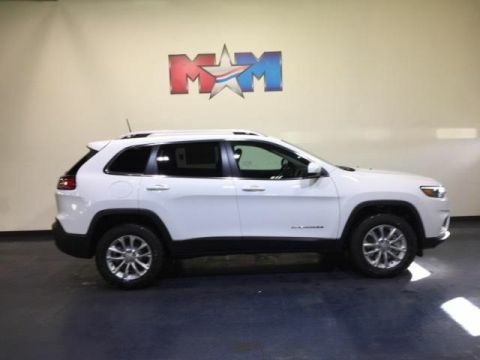 Bright White Clear Coat exterior, Latitude trim AND MORE! KEY FEATURES INCLUDE 4x4, Back-Up Camera, iPod/MP3 Input, Bluetooth, Aluminum Wheels, Smart Device Integration. Rear Spoiler, MP3 Player, Keyless Entry, Child Safety Locks, Electronic Stability Control. OPTION PACKAGES COLD WEATHER GROUP Leather Wrapped Steering Wheel, Engine Block Heater, Heated Front Seats, Steering Wheel Mounted Audio Controls, Windshield Wiper De-Icer, Remote Start System, All-Season Floor Mats, Heated Steering Wheel, POPULAR APPEARANCE GROUP Deep Tint Sunscreen Glass, ENGINE: 2.4L I4 ZERO EVAP M-AIR W/ESS (STD), TRANSMISSION: 9-SPEED 948TE AUTOMATIC (STD). EXPERTS ARE SAYING The steering is nicely weighted, feels direct, and even transmits some of the road texture to the driver. Bigger bumps are nicely filtered out. It's well-balanced all around, and there's a good sense of center when driving on the highway. -Edmunds.com. Great Gas Mileage: 29 MPG Hwy. OUR OFFERINGS At Shelor Motor Mile we have a price and payment to fit any budget. Our big selection means even bigger savings! Need extra spending money? Shelor wants your vehicle, and we're paying top dollar! Tax DMV Fees & $597 processing fee are not included in vehicle prices shown and must be paid by the purchaser. Vehicle information is based off standard equipment and may vary from vehicle to vehicle. Call or email for complete vehicle specific informatio Chevrolet Ford Chrysler Dodge Jeep & Ram prices include current factory rebates and incentives some of which may require financing through the manufacturer and/or the customer must own/trade a certain make of vehicle. Residency restrictions apply see dealer for details and restrictions. All pricing and details are believed to be accurate but we do not warrant or guarantee such accuracy. The prices shown above may vary from region to region as will incentives and are subject to change. Heated Seats, Bluetooth, Smart Device Integration, iPod/MP3 Input, TRANSMISSION: 9-SPEED 948TE AUTOMATIC... POPULAR APPEARANCE GROUP, Back-Up Camera. EPA 29 MPG Hwy/21 MPG City! Diamond Black Crystal P/C exterior, Latitude trim AND MORE! KEY FEATURES INCLUDE 4x4, Back-Up Camera, iPod/MP3 Input, Bluetooth, Aluminum Wheels, Smart Device Integration. Rear Spoiler, MP3 Player, Keyless Entry, Child Safety Locks, Electronic Stability Control. OPTION PACKAGES COLD WEATHER GROUP Leather Wrapped Steering Wheel, Engine Block Heater, Heated Front Seats, Steering Wheel Mounted Audio Controls, Windshield Wiper De-Icer, Remote Start System, All-Season Floor Mats, Heated Steering Wheel, POPULAR APPEARANCE GROUP Deep Tint Sunscreen Glass, ENGINE: 2.4L I4 ZERO EVAP M-AIR W/ESS (STD), TRANSMISSION: 9-SPEED 948TE AUTOMATIC (STD). EXPERTS REPORT The steering is nicely weighted, feels direct, and even transmits some of the road texture to the driver. Bigger bumps are nicely filtered out. It's well-balanced all around, and there's a good sense of center when driving on the highway. -Edmunds.com. Great Gas Mileage: 29 MPG Hwy. WHO WE ARE At Shelor Motor Mile we have a price and payment to fit any budget. Our big selection means even bigger savings! Need extra spending money? Shelor wants your vehicle, and we're paying top dollar! Tax DMV Fees & $597 processing fee are not included in vehicle prices shown and must be paid by the purchaser. Vehicle information is based off standard equipment and may vary from vehicle to vehicle. Call or email for complete vehicle specific informatio Chevrolet Ford Chrysler Dodge Jeep & Ram prices include current factory rebates and incentives some of which may require financing through the manufacturer and/or the customer must own/trade a certain make of vehicle. Residency restrictions apply see dealer for details and restrictions. All pricing and details are believed to be accurate but we do not warrant or guarantee such accuracy. The prices shown above may vary from region to region as will incentives and are subject to change. Heated Seats, Bluetooth, Smart Device Integration, iPod/MP3 Input, TRANSMISSION: 9-SPEED 948TE AUTOMATIC... POPULAR APPEARANCE GROUP, Back-Up Camera. EPA 29 MPG Hwy/21 MPG City! 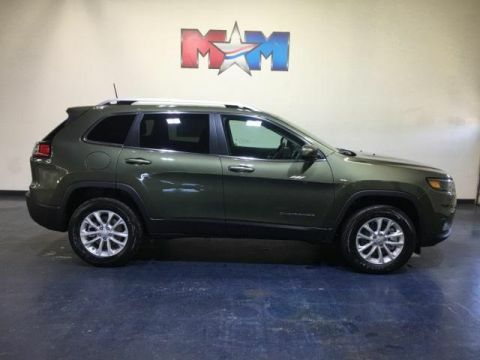 Olive Green Pearl Coat exterior, Latitude trim CLICK NOW! KEY FEATURES INCLUDE 4x4, Back-Up Camera, iPod/MP3 Input, Bluetooth, Aluminum Wheels, Smart Device Integration. Rear Spoiler, MP3 Player, Keyless Entry, Child Safety Locks, Electronic Stability Control. OPTION PACKAGES COLD WEATHER GROUP Leather Wrapped Steering Wheel, Engine Block Heater, Heated Front Seats, Steering Wheel Mounted Audio Controls, Windshield Wiper De-Icer, Remote Start System, All-Season Floor Mats, Heated Steering Wheel, POPULAR APPEARANCE GROUP Deep Tint Sunscreen Glass, ENGINE: 2.4L I4 ZERO EVAP M-AIR W/ESS (STD), TRANSMISSION: 9-SPEED 948TE AUTOMATIC (STD). EXPERTS ARE SAYING The steering is nicely weighted, feels direct, and even transmits some of the road texture to the driver. Bigger bumps are nicely filtered out. It's well-balanced all around, and there's a good sense of center when driving on the highway. -Edmunds.com. Great Gas Mileage: 29 MPG Hwy. MORE ABOUT US At Shelor Motor Mile we have a price and payment to fit any budget. Our big selection means even bigger savings! Need extra spending money? Shelor wants your vehicle, and we're paying top dollar! Tax DMV Fees & $597 processing fee are not included in vehicle prices shown and must be paid by the purchaser. Vehicle information is based off standard equipment and may vary from vehicle to vehicle. 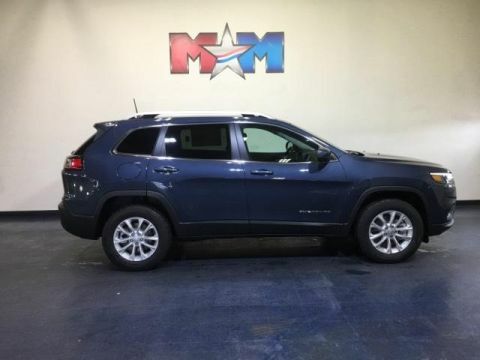 Call or email for complete vehicle specific informatio Chevrolet Ford Chrysler Dodge Jeep & Ram prices include current factory rebates and incentives some of which may require financing through the manufacturer and/or the customer must own/trade a certain make of vehicle. Residency restrictions apply see dealer for details and restrictions. All pricing and details are believed to be accurate but we do not warrant or guarantee such accuracy. The prices shown above may vary from region to region as will incentives and are subject to change. Heated Seats, Bluetooth, Smart Device Integration, iPod/MP3 Input, TRANSMISSION: 9-SPEED 948TE AUTOMATIC... POPULAR APPEARANCE GROUP. FUEL EFFICIENT 29 MPG Hwy/21 MPG City! 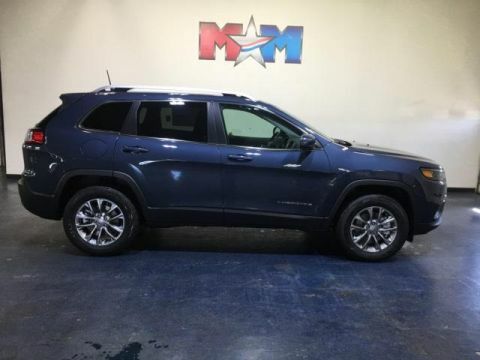 Latitude trim, Blue Shade Pearl Coat exterior READ MORE! KEY FEATURES INCLUDE 4x4, Back-Up Camera, iPod/MP3 Input, Bluetooth, Aluminum Wheels, Smart Device Integration Rear Spoiler, MP3 Player, Keyless Entry, Child Safety Locks, Electronic Stability Control. OPTION PACKAGES COLD WEATHER GROUP Leather Wrapped Steering Wheel, Engine Block Heater, Heated Front Seats, Steering Wheel Mounted Audio Controls, Windshield Wiper De-Icer, Remote Start System, All-Season Floor Mats, Heated Steering Wheel, POPULAR APPEARANCE GROUP Deep Tint Sunscreen Glass, ENGINE: 2.4L I4 ZERO EVAP M-AIR W/ESS (STD), TRANSMISSION: 9-SPEED 948TE AUTOMATIC (STD). EXPERTS CONCLUDE Edmunds.com explains The steering is nicely weighted, feels direct, and even transmits some of the road texture to the driver. Bigger bumps are nicely filtered out. It's well-balanced all around, and there's a good sense of center when driving on the highway. . Great Gas Mileage: 29 MPG Hwy. WHY BUY FROM US At Shelor Motor Mile we have a price and payment to fit any budget. Our big selection means even bigger savings! Need extra spending money? Shelor wants your vehicle, and we're paying top dollar! Tax DMV Fees & $597 processing fee are not included in vehicle prices shown and must be paid by the purchaser. Vehicle information is based off standard equipment and may vary from vehicle to vehicle. Call or email for complete vehicle specific informatio Chevrolet Ford Chrysler Dodge Jeep & Ram prices include current factory rebates and incentives some of which may require financing through the manufacturer and/or the customer must own/trade a certain make of vehicle. Residency restrictions apply see dealer for details and restrictions. All pricing and details are believed to be accurate but we do not warrant or guarantee such accuracy. The prices shown above may vary from region to region as will incentives and are subject to change. Heated Seats, Bluetooth, Smart Device Integration, iPod/MP3 Input, TRANSMISSION: 9-SPEED 948TE AUTOMATIC... POPULAR APPEARANCE GROUP, Back-Up Camera. EPA 29 MPG Hwy/21 MPG City! Latitude trim, Light Brownstone Pearl Coat exterior CLICK ME! KEY FEATURES INCLUDE 4x4, Back-Up Camera, iPod/MP3 Input, Bluetooth, Aluminum Wheels, Smart Device Integration. Rear Spoiler, MP3 Player, Keyless Entry, Child Safety Locks, Electronic Stability Control. OPTION PACKAGES COLD WEATHER GROUP Leather Wrapped Steering Wheel, Engine Block Heater, Heated Front Seats, Steering Wheel Mounted Audio Controls, Windshield Wiper De-Icer, Remote Start System, All-Season Floor Mats, Heated Steering Wheel, POPULAR APPEARANCE GROUP Deep Tint Sunscreen Glass, ENGINE: 2.4L I4 ZERO EVAP M-AIR W/ESS (STD), TRANSMISSION: 9-SPEED 948TE AUTOMATIC (STD). VEHICLE REVIEWS Edmunds.com's review says The steering is nicely weighted, feels direct, and even transmits some of the road texture to the driver. Bigger bumps are nicely filtered out. It's well-balanced all around, and there's a good sense of center when driving on the highway. . Great Gas Mileage: 29 MPG Hwy. WHY BUY FROM US At Shelor Motor Mile we have a price and payment to fit any budget. Our big selection means even bigger savings! Need extra spending money? Shelor wants your vehicle, and we're paying top dollar! Tax DMV Fees & $597 processing fee are not included in vehicle prices shown and must be paid by the purchaser. Vehicle information is based off standard equipment and may vary from vehicle to vehicle. Call or email for complete vehicle specific informatio Chevrolet Ford Chrysler Dodge Jeep & Ram prices include current factory rebates and incentives some of which may require financing through the manufacturer and/or the customer must own/trade a certain make of vehicle. Residency restrictions apply see dealer for details and restrictions. All pricing and details are believed to be accurate but we do not warrant or guarantee such accuracy. The prices shown above may vary from region to region as will incentives and are subject to change. Heated Seats, Bluetooth, Smart Device Integration, iPod/MP3 Input, TRANSMISSION: 9-SPEED 948TE AUTOMATIC... POPULAR APPEARANCE GROUP. Latitude trim, Bright White Clear Coat exterior. FUEL EFFICIENT 29 MPG Hwy/21 MPG City! AND MORE! KEY FEATURES INCLUDE 4x4, Back-Up Camera, iPod/MP3 Input, Bluetooth, Aluminum Wheels, Smart Device Integration. Rear Spoiler, MP3 Player, Keyless Entry, Child Safety Locks, Electronic Stability Control. OPTION PACKAGES COLD WEATHER GROUP Leather Wrapped Steering Wheel, Engine Block Heater, Heated Front Seats, Steering Wheel Mounted Audio Controls, Windshield Wiper De-Icer, Remote Start System, All-Season Floor Mats, Heated Steering Wheel, POPULAR APPEARANCE GROUP Deep Tint Sunscreen Glass, ENGINE: 2.4L I4 ZERO EVAP M-AIR W/ESS (STD), TRANSMISSION: 9-SPEED 948TE AUTOMATIC (STD). EXPERTS REPORT Edmunds.com's review says The steering is nicely weighted, feels direct, and even transmits some of the road texture to the driver. Bigger bumps are nicely filtered out. It's well-balanced all around, and there's a good sense of center when driving on the highway. . Great Gas Mileage: 29 MPG Hwy. MORE ABOUT US At Shelor Motor Mile we have a price and payment to fit any budget. Our big selection means even bigger savings! Need extra spending money? Shelor wants your vehicle, and we're paying top dollar! Tax DMV Fees & $597 processing fee are not included in vehicle prices shown and must be paid by the purchaser. Vehicle information is based off standard equipment and may vary from vehicle to vehicle. Call or email for complete vehicle specific informatio Chevrolet Ford Chrysler Dodge Jeep & Ram prices include current factory rebates and incentives some of which may require financing through the manufacturer and/or the customer must own/trade a certain make of vehicle. Residency restrictions apply see dealer for details and restrictions. All pricing and details are believed to be accurate but we do not warrant or guarantee such accuracy. The prices shown above may vary from region to region as will incentives and are subject to change. Heated Seats, Bluetooth, Smart Device Integration, iPod/MP3 Input, TRANSMISSION: 9-SPEED 948TE AUTOMATIC... POPULAR APPEARANCE GROUP. Blue Shade Pearl Coat exterior and Black interior, Latitude trim. EPA 29 MPG Hwy/21 MPG City! READ MORE! KEY FEATURES INCLUDE 4x4, Back-Up Camera, iPod/MP3 Input, Bluetooth, Aluminum Wheels, Smart Device Integration Rear Spoiler, MP3 Player, Keyless Entry, Child Safety Locks, Electronic Stability Control. OPTION PACKAGES COLD WEATHER GROUP Leather Wrapped Steering Wheel, Engine Block Heater, Heated Front Seats, Steering Wheel Mounted Audio Controls, Windshield Wiper De-Icer, Remote Start System, All-Season Floor Mats, Heated Steering Wheel, POPULAR APPEARANCE GROUP Deep Tint Sunscreen Glass, ENGINE: 2.4L I4 ZERO EVAP M-AIR W/ESS (STD), TRANSMISSION: 9-SPEED 948TE AUTOMATIC (STD). 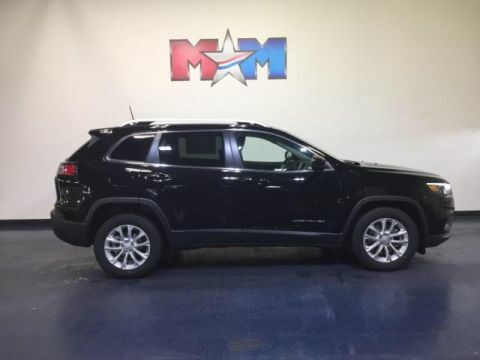 Jeep Latitude with Blue Shade Pearl Coat exterior and Black interior features a 4 Cylinder Engine with 180 HP at 6400 RPM*. EXPERTS REPORT The steering is nicely weighted, feels direct, and even transmits some of the road texture to the driver. Bigger bumps are nicely filtered out. It's well-balanced all around, and there's a good sense of center when driving on the highway. -Edmunds.com. Great Gas Mileage: 29 MPG Hwy. BUY FROM AN AWARD WINNING DEALER At Shelor Motor Mile we have a price and payment to fit any budget. Our big selection means even bigger savings! Need extra spending money? Shelor wants your vehicle, and we're paying top dollar! Tax DMV Fees & $597 processing fee are not included in vehicle prices shown and must be paid by the purchaser. Vehicle information is based off standard equipment and may vary from vehicle to vehicle. Call or email for complete vehicle specific informatio Chevrolet Ford Chrysler Dodge Jeep & Ram prices include current factory rebates and incentives some of which may require financing through the manufacturer and/or the customer must own/trade a certain make of vehicle. Residency restrictions apply see dealer for details and restrictions. All pricing and details are believed to be accurate but we do not warrant or guarantee such accuracy. The prices shown above may vary from region to region as will incentives and are subject to change. Heated Seats, Bluetooth, Smart Device Integration, iPod/MP3 Input, TRANSMISSION: 9-SPEED 948TE AUTOMATIC... Latitude trim, Billet Silver Metallic Clear Coat exterior and Black interior. FUEL EFFICIENT 29 MPG Hwy/21 MPG City! SEE MORE! KEY FEATURES INCLUDE 4x4, Back-Up Camera, iPod/MP3 Input, Bluetooth, Aluminum Wheels, Smart Device Integration Rear Spoiler, MP3 Player, Keyless Entry, Child Safety Locks, Electronic Stability Control. OPTION PACKAGES COLD WEATHER GROUP Leather Wrapped Steering Wheel, Engine Block Heater, Heated Front Seats, Steering Wheel Mounted Audio Controls, Windshield Wiper De-Icer, Remote Start System, All-Season Floor Mats, Heated Steering Wheel, POPULAR APPEARANCE GROUP Deep Tint Sunscreen Glass, ENGINE: 2.4L I4 ZERO EVAP M-AIR W/ESS (STD), TRANSMISSION: 9-SPEED 948TE AUTOMATIC (STD). Jeep Latitude with Billet Silver Metallic Clear Coat exterior and Black interior features a 4 Cylinder Engine with 180 HP at 6400 RPM*. EXPERTS ARE SAYING Edmunds.com's review says The steering is nicely weighted, feels direct, and even transmits some of the road texture to the driver. Bigger bumps are nicely filtered out. It's well-balanced all around, and there's a good sense of center when driving on the highway. . Great Gas Mileage: 29 MPG Hwy. VISIT US TODAY At Shelor Motor Mile we have a price and payment to fit any budget. Our big selection means even bigger savings! Need extra spending money? Shelor wants your vehicle, and we're paying top dollar! Tax DMV Fees & $597 processing fee are not included in vehicle prices shown and must be paid by the purchaser. Vehicle information is based off standard equipment and may vary from vehicle to vehicle. Call or email for complete vehicle specific informatio Chevrolet Ford Chrysler Dodge Jeep & Ram prices include current factory rebates and incentives some of which may require financing through the manufacturer and/or the customer must own/trade a certain make of vehicle. Residency restrictions apply see dealer for details and restrictions. All pricing and details are believed to be accurate but we do not warrant or guarantee such accuracy. The prices shown above may vary from region to region as will incentives and are subject to change. Heated Seats, Bluetooth, Smart Device Integration, iPod/MP3 Input, TRANSMISSION: 9-SPEED 948TE AUTOMATIC... Back-Up Camera. FUEL EFFICIENT 29 MPG Hwy/21 MPG City! Blue Shade Pearl Coat exterior and Black interior, Latitude trim CLICK ME! KEY FEATURES INCLUDE 4x4, Back-Up Camera, iPod/MP3 Input, Bluetooth, Aluminum Wheels, Smart Device Integration. Rear Spoiler, MP3 Player, Keyless Entry, Child Safety Locks, Electronic Stability Control. OPTION PACKAGES COLD WEATHER GROUP Leather Wrapped Steering Wheel, Engine Block Heater, Heated Front Seats, Steering Wheel Mounted Audio Controls, Windshield Wiper De-Icer, Remote Start System, All-Season Floor Mats, Heated Steering Wheel, POPULAR APPEARANCE GROUP Deep Tint Sunscreen Glass, ENGINE: 2.4L I4 ZERO EVAP M-AIR W/ESS (STD), TRANSMISSION: 9-SPEED 948TE AUTOMATIC (STD). 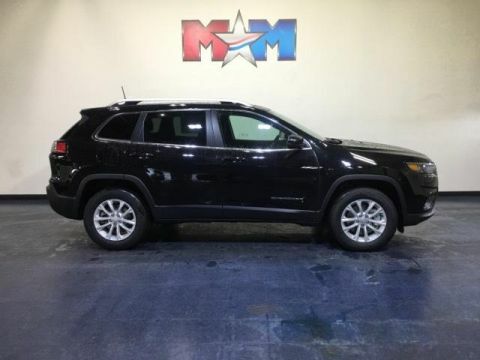 Jeep Latitude with Blue Shade Pearl Coat exterior and Black interior features a 4 Cylinder Engine with 180 HP at 6400 RPM*. VEHICLE REVIEWS The steering is nicely weighted, feels direct, and even transmits some of the road texture to the driver. Bigger bumps are nicely filtered out. It's well-balanced all around, and there's a good sense of center when driving on the highway. -Edmunds.com. Great Gas Mileage: 29 MPG Hwy. MORE ABOUT US At Shelor Motor Mile we have a price and payment to fit any budget. Our big selection means even bigger savings! Need extra spending money? Shelor wants your vehicle, and we're paying top dollar! Tax DMV Fees & $597 processing fee are not included in vehicle prices shown and must be paid by the purchaser. Vehicle information is based off standard equipment and may vary from vehicle to vehicle. Call or email for complete vehicle specific informatio Chevrolet Ford Chrysler Dodge Jeep & Ram prices include current factory rebates and incentives some of which may require financing through the manufacturer and/or the customer must own/trade a certain make of vehicle. Residency restrictions apply see dealer for details and restrictions. All pricing and details are believed to be accurate but we do not warrant or guarantee such accuracy. The prices shown above may vary from region to region as will incentives and are subject to change. Heated Seats, Bluetooth, Smart Device Integration, iPod/MP3 Input, TRANSMISSION: 9-SPEED 948TE AUTOMATIC... POPULAR APPEARANCE GROUP, COLD WEATHER GROUP. Velvet Red Pearl Coat exterior, Latitude trim. EPA 29 MPG Hwy/21 MPG City! AND MORE! KEY FEATURES INCLUDE 4x4, Back-Up Camera, iPod/MP3 Input, Bluetooth, Aluminum Wheels, Smart Device Integration Rear Spoiler, MP3 Player, Keyless Entry, Child Safety Locks, Electronic Stability Control. OPTION PACKAGES COLD WEATHER GROUP Leather Wrapped Steering Wheel, Engine Block Heater, Heated Front Seats, Steering Wheel Mounted Audio Controls, Windshield Wiper De-Icer, Remote Start System, All-Season Floor Mats, Heated Steering Wheel, POPULAR APPEARANCE GROUP Deep Tint Sunscreen Glass, ENGINE: 2.4L I4 ZERO EVAP M-AIR W/ESS (STD), TRANSMISSION: 9-SPEED 948TE AUTOMATIC (STD). EXPERTS ARE SAYING The steering is nicely weighted, feels direct, and even transmits some of the road texture to the driver. Bigger bumps are nicely filtered out. It's well-balanced all around, and there's a good sense of center when driving on the highway. -Edmunds.com. Great Gas Mileage: 29 MPG Hwy. WHO WE ARE At Shelor Motor Mile we have a price and payment to fit any budget. Our big selection means even bigger savings! Need extra spending money? Shelor wants your vehicle, and we're paying top dollar! Tax DMV Fees & $597 processing fee are not included in vehicle prices shown and must be paid by the purchaser. Vehicle information is based off standard equipment and may vary from vehicle to vehicle. Call or email for complete vehicle specific informatio Chevrolet Ford Chrysler Dodge Jeep & Ram prices include current factory rebates and incentives some of which may require financing through the manufacturer and/or the customer must own/trade a certain make of vehicle. Residency restrictions apply see dealer for details and restrictions. All pricing and details are believed to be accurate but we do not warrant or guarantee such accuracy. The prices shown above may vary from region to region as will incentives and are subject to change. Bluetooth, Smart Device Integration, iPod/MP3 Input, ENGINE: 3.2L V6 24V VVT W/ESS, POPULAR APPEARANCE GROUP, Back-Up Camera, 4x4. FUEL EFFICIENT 27 MPG Hwy/19 MPG City! Diamond Black Crystal P/C exterior, Latitude trim CLICK ME! KEY FEATURES INCLUDE 4x4, Back-Up Camera, iPod/MP3 Input, Bluetooth, Aluminum Wheels, Smart Device Integration. Rear Spoiler, MP3 Player, Keyless Entry, Child Safety Locks, Heated Mirrors. 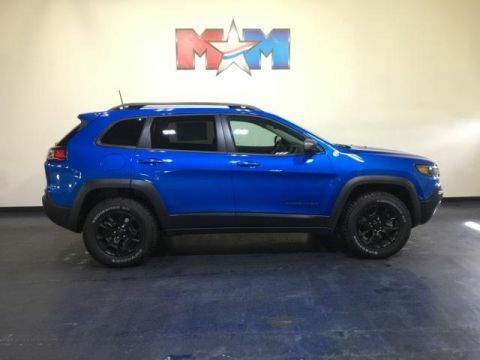 OPTION PACKAGES ENGINE: 3.2L V6 24V VVT W/ESS Dual Bright Exhaust Tips, POPULAR APPEARANCE GROUP Deep Tint Sunscreen Glass, TRANSMISSION: 9-SPEED 948TE AUTOMATIC (STD). EXPERTS ARE SAYING Edmunds.com's review says The steering is nicely weighted, feels direct, and even transmits some of the road texture to the driver. Bigger bumps are nicely filtered out. It's well-balanced all around, and there's a good sense of center when driving on the highway. . Great Gas Mileage: 27 MPG Hwy. WHY BUY FROM US At Shelor Motor Mile we have a price and payment to fit any budget. Our big selection means even bigger savings! Need extra spending money? Shelor wants your vehicle, and we're paying top dollar! Tax DMV Fees & $597 processing fee are not included in vehicle prices shown and must be paid by the purchaser. Vehicle information is based off standard equipment and may vary from vehicle to vehicle. Call or email for complete vehicle specific informatio Chevrolet Ford Chrysler Dodge Jeep & Ram prices include current factory rebates and incentives some of which may require financing through the manufacturer and/or the customer must own/trade a certain make of vehicle. Residency restrictions apply see dealer for details and restrictions. All pricing and details are believed to be accurate but we do not warrant or guarantee such accuracy. The prices shown above may vary from region to region as will incentives and are subject to change. FUEL EFFICIENT 27 MPG Hwy/19 MPG City! Latitude trim, Diamond Black Crystal P/C exterior. iPod/MP3 Input, Bluetooth, Back-Up Camera, ENGINE: 3.2L V6 24V VVT W/ESS, POPULAR APPEARANCE GROUP, TRANSMISSION: 9-SPEED 948TE AUTOMATIC... CLICK ME! KEY FEATURES INCLUDE 4x4, Back-Up Camera, iPod/MP3 Input, Bluetooth, Aluminum Wheels. Rear Spoiler, MP3 Player, Keyless Entry, Child Safety Locks, Heated Mirrors. 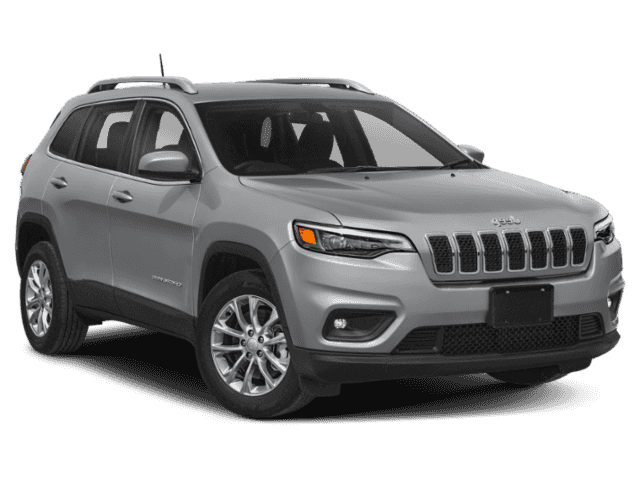 OPTION PACKAGES ENGINE: 3.2L V6 24V VVT W/ESS Dual Bright Exhaust Tips, POPULAR APPEARANCE GROUP Deep Tint Sunscreen Glass, SIRIUSXM SATELLITE RADIO For More Info, Call 800-643-2112, No Satellite Coverage HI/AK/PR/VI, 1-Year SiriusXM Radio Service, TRANSMISSION: 9-SPEED 948TE AUTOMATIC (STD). EXPERTS REPORT Edmunds.com's review says The steering is nicely weighted, feels direct, and even transmits some of the road texture to the driver. Bigger bumps are nicely filtered out. It's well-balanced all around, and there's a good sense of center when driving on the highway. . Great Gas Mileage: 27 MPG Hwy. MORE ABOUT US At Shelor Motor Mile we have a price and payment to fit any budget. Our big selection means even bigger savings! Need extra spending money? Shelor wants your vehicle, and we're paying top dollar! Tax DMV Fees & $597 processing fee are not included in vehicle prices shown and must be paid by the purchaser. Vehicle information is based off standard equipment and may vary from vehicle to vehicle. Call or email for complete vehicle specific informatio Chevrolet Ford Chrysler Dodge Jeep & Ram prices include current factory rebates and incentives some of which may require financing through the manufacturer and/or the customer must own/trade a certain make of vehicle. Residency restrictions apply see dealer for details and restrictions. All pricing and details are believed to be accurate but we do not warrant or guarantee such accuracy. The prices shown above may vary from region to region as will incentives and are subject to change. Bright White Clear Coat exterior, Latitude trim. FUEL EFFICIENT 27 MPG Hwy/19 MPG City! 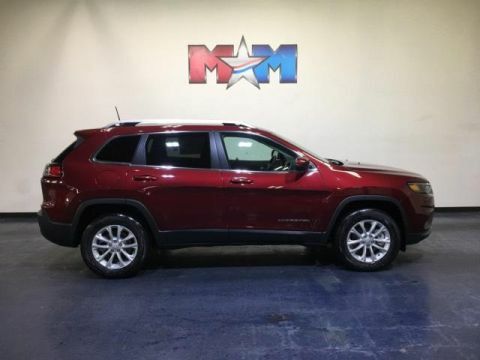 iPod/MP3 Input, Bluetooth, Back-Up Camera, ENGINE: 3.2L V6 24V VVT W/ESS, POPULAR APPEARANCE GROUP, TRANSMISSION: 9-SPEED 948TE AUTOMATIC... CLICK NOW! KEY FEATURES INCLUDE 4x4, Back-Up Camera, iPod/MP3 Input, Bluetooth, Aluminum Wheels. Rear Spoiler, MP3 Player, Keyless Entry, Child Safety Locks, Heated Mirrors. OPTION PACKAGES ENGINE: 3.2L V6 24V VVT W/ESS Dual Bright Exhaust Tips, POPULAR APPEARANCE GROUP Deep Tint Sunscreen Glass, SIRIUSXM SATELLITE RADIO For More Info, Call 800-643-2112, No Satellite Coverage HI/AK/PR/VI, 1-Year SiriusXM Radio Service, TRANSMISSION: 9-SPEED 948TE AUTOMATIC (STD). EXPERTS CONCLUDE The steering is nicely weighted, feels direct, and even transmits some of the road texture to the driver. Bigger bumps are nicely filtered out. It's well-balanced all around, and there's a good sense of center when driving on the highway. -Edmunds.com. Great Gas Mileage: 27 MPG Hwy. VISIT US TODAY At Shelor Motor Mile we have a price and payment to fit any budget. Our big selection means even bigger savings! Need extra spending money? Shelor wants your vehicle, and we're paying top dollar! Tax DMV Fees & $597 processing fee are not included in vehicle prices shown and must be paid by the purchaser. Vehicle information is based off standard equipment and may vary from vehicle to vehicle. Call or email for complete vehicle specific informatio Chevrolet Ford Chrysler Dodge Jeep & Ram prices include current factory rebates and incentives some of which may require financing through the manufacturer and/or the customer must own/trade a certain make of vehicle. Residency restrictions apply see dealer for details and restrictions. All pricing and details are believed to be accurate but we do not warrant or guarantee such accuracy. The prices shown above may vary from region to region as will incentives and are subject to change. Latitude trim, Velvet Red Pearl Coat exterior. EPA 29 MPG Hwy/21 MPG City! Bluetooth, Smart Device Integration, iPod/MP3 Input, ENGINE: 2.4L I4 ZERO EVAP M-AIR W/ESS... POPULAR APPEARANCE GROUP, Back-Up Camera, 4x4. READ MORE! KEY FEATURES INCLUDE 4x4, Back-Up Camera, iPod/MP3 Input, Bluetooth, Aluminum Wheels, Smart Device Integration. Rear Spoiler, MP3 Player, Keyless Entry, Child Safety Locks, Heated Mirrors. OPTION PACKAGES POPULAR APPEARANCE GROUP Deep Tint Sunscreen Glass, ENGINE: 2.4L I4 ZERO EVAP M-AIR W/ESS (STD), TRANSMISSION: 9-SPEED 948TE AUTOMATIC (STD). EXPERTS RAVE The steering is nicely weighted, feels direct, and even transmits some of the road texture to the driver. Bigger bumps are nicely filtered out. It's well-balanced all around, and there's a good sense of center when driving on the highway. -Edmunds.com. Great Gas Mileage: 29 MPG Hwy. MORE ABOUT US At Shelor Motor Mile we have a price and payment to fit any budget. Our big selection means even bigger savings! Need extra spending money? Shelor wants your vehicle, and we're paying top dollar! Tax DMV Fees & $597 processing fee are not included in vehicle prices shown and must be paid by the purchaser. Vehicle information is based off standard equipment and may vary from vehicle to vehicle. Call or email for complete vehicle specific informatio Chevrolet Ford Chrysler Dodge Jeep & Ram prices include current factory rebates and incentives some of which may require financing through the manufacturer and/or the customer must own/trade a certain make of vehicle. Residency restrictions apply see dealer for details and restrictions. All pricing and details are believed to be accurate but we do not warrant or guarantee such accuracy. The prices shown above may vary from region to region as will incentives and are subject to change. Heated Seats, Bluetooth, Smart Device Integration, Blind Spot Monitor, TRANSMISSION: 9-SPEED 948TE AUTOMATIC... COLD WEATHER GROUP. Latitude Plus trim, Billet Silver Metallic Clear Coat exterior. EPA 27 MPG Hwy/19 MPG City! READ MORE! KEY FEATURES INCLUDE 4x4, Back-Up Camera, iPod/MP3 Input, Bluetooth, Aluminum Wheels, Smart Device Integration, Blind Spot Monitor. Rear Spoiler, MP3 Player, Satellite Radio, Privacy Glass, Keyless Entry. OPTION PACKAGES ENGINE: 3.2L V6 24V VVT W/ESS Dual Bright Exhaust Tips, COMFORT/CONVENIENCE GROUP Premium Air Filter, Universal Garage Door Opener, Air Conditioning ATC w/Dual Zone Control, 115V Auxiliary Power Outlet, Rear View Auto Dim Mirror, Remote Start System, Power Liftgate, Humidity Sensor, Security Alarm, COLD WEATHER GROUP Engine Block Heater, Heated Front Seats, Windshield Wiper De-Icer, Remote Start System, All-Season Floor Mats, Heated Steering Wheel, TRANSMISSION: 9-SPEED 948TE AUTOMATIC (STD). EXPERTS REPORT Edmunds.com explains The steering is nicely weighted, feels direct, and even transmits some of the road texture to the driver. Bigger bumps are nicely filtered out. It's well-balanced all around, and there's a good sense of center when driving on the highway. . Great Gas Mileage: 27 MPG Hwy. Approx. Original Base Sticker Price: $32,400*. VISIT US TODAY At Shelor Motor Mile we have a price and payment to fit any budget. Our big selection means even bigger savings! Need extra spending money? Shelor wants your vehicle, and we're paying top dollar! Tax DMV Fees & $597 processing fee are not included in vehicle prices shown and must be paid by the purchaser. Vehicle information is based off standard equipment and may vary from vehicle to vehicle. Call or email for complete vehicle specific informatio Chevrolet Ford Chrysler Dodge Jeep & Ram prices include current factory rebates and incentives some of which may require financing through the manufacturer and/or the customer must own/trade a certain make of vehicle. Residency restrictions apply see dealer for details and restrictions. All pricing and details are believed to be accurate but we do not warrant or guarantee such accuracy. The prices shown above may vary from region to region as will incentives and are subject to change. Heated Seats, Smart Device Integration, Blind Spot Monitor, Bluetooth, ENGINE: 3.2L V6 24V VVT W/ESS, COLD WEATHER GROUP. Latitude Plus trim, Granite Crystal Met. Clear Coat exterior. FUEL EFFICIENT 27 MPG Hwy/19 MPG City! READ MORE! KEY FEATURES INCLUDE 4x4, Back-Up Camera, iPod/MP3 Input, Bluetooth, Aluminum Wheels, Smart Device Integration, Blind Spot Monitor. Rear Spoiler, MP3 Player, Satellite Radio, Keyless Entry, Privacy Glass. OPTION PACKAGES ENGINE: 3.2L V6 24V VVT W/ESS Dual Bright Exhaust Tips, COLD WEATHER GROUP Engine Block Heater, Heated Front Seats, Windshield Wiper De-Icer, Remote Start System, All-Season Floor Mats, Heated Steering Wheel, TRANSMISSION: 9-SPEED 948TE AUTOMATIC (STD). EXPERTS CONCLUDE Edmunds.com explains The steering is nicely weighted, feels direct, and even transmits some of the road texture to the driver. Bigger bumps are nicely filtered out. It's well-balanced all around, and there's a good sense of center when driving on the highway. . Great Gas Mileage: 27 MPG Hwy. Approx. Original Base Sticker Price: $32,800*. MORE ABOUT US At Shelor Motor Mile we have a price and payment to fit any budget. Our big selection means even bigger savings! Need extra spending money? Shelor wants your vehicle, and we're paying top dollar! Tax DMV Fees & $597 processing fee are not included in vehicle prices shown and must be paid by the purchaser. Vehicle information is based off standard equipment and may vary from vehicle to vehicle. Call or email for complete vehicle specific informatio Chevrolet Ford Chrysler Dodge Jeep & Ram prices include current factory rebates and incentives some of which may require financing through the manufacturer and/or the customer must own/trade a certain make of vehicle. Residency restrictions apply see dealer for details and restrictions. All pricing and details are believed to be accurate but we do not warrant or guarantee such accuracy. The prices shown above may vary from region to region as will incentives and are subject to change. Heated Seats, Smart Device Integration, Blind Spot Monitor, Bluetooth, ENGINE: 3.2L V6 24V VVT W/ESS, COLD WEATHER GROUP, Aluminum Wheels. FUEL EFFICIENT 27 MPG Hwy/19 MPG City! Blue Shade Pearl Coat exterior, Latitude Plus trim CLICK NOW! KEY FEATURES INCLUDE 4x4, Back-Up Camera, iPod/MP3 Input, Bluetooth, Aluminum Wheels, Smart Device Integration, Blind Spot Monitor. Rear Spoiler, MP3 Player, Satellite Radio, Keyless Entry, Privacy Glass. 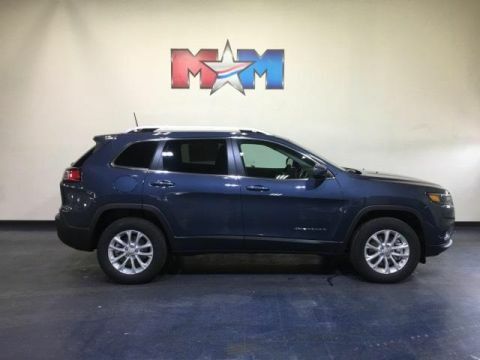 OPTION PACKAGES ENGINE: 3.2L V6 24V VVT W/ESS Dual Bright Exhaust Tips, COLD WEATHER GROUP Engine Block Heater, Heated Front Seats, Windshield Wiper De-Icer, Remote Start System, All-Season Floor Mats, Heated Steering Wheel, TRANSMISSION: 9-SPEED 948TE AUTOMATIC (STD). VEHICLE REVIEWS Edmunds.com explains The steering is nicely weighted, feels direct, and even transmits some of the road texture to the driver. Bigger bumps are nicely filtered out. It's well-balanced all around, and there's a good sense of center when driving on the highway. . Great Gas Mileage: 27 MPG Hwy. Approx. Original Base Sticker Price: $32,800*. MORE ABOUT US At Shelor Motor Mile we have a price and payment to fit any budget. Our big selection means even bigger savings! Need extra spending money? Shelor wants your vehicle, and we're paying top dollar! Tax DMV Fees & $597 processing fee are not included in vehicle prices shown and must be paid by the purchaser. Vehicle information is based off standard equipment and may vary from vehicle to vehicle. Call or email for complete vehicle specific informatio Chevrolet Ford Chrysler Dodge Jeep & Ram prices include current factory rebates and incentives some of which may require financing through the manufacturer and/or the customer must own/trade a certain make of vehicle. Residency restrictions apply see dealer for details and restrictions. All pricing and details are believed to be accurate but we do not warrant or guarantee such accuracy. The prices shown above may vary from region to region as will incentives and are subject to change. Heated Seats, Smart Device Integration, Blind Spot Monitor, Bluetooth, ENGINE: 3.2L V6 24V VVT W/ESS, COLD WEATHER GROUP, Aluminum Wheels. Blue Shade Pearl Coat exterior, Latitude Plus trim. EPA 27 MPG Hwy/19 MPG City! AND MORE! KEY FEATURES INCLUDE 4x4, Back-Up Camera, iPod/MP3 Input, Bluetooth, Aluminum Wheels, Smart Device Integration, Blind Spot Monitor Rear Spoiler, MP3 Player, Satellite Radio, Keyless Entry, Privacy Glass. 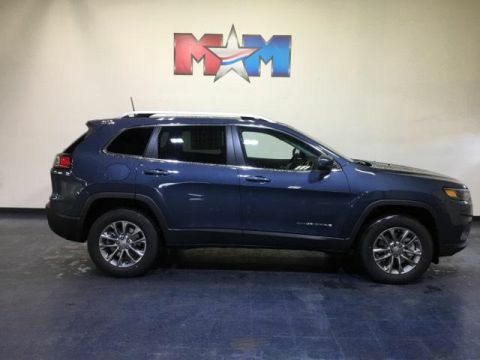 OPTION PACKAGES ENGINE: 3.2L V6 24V VVT W/ESS Dual Bright Exhaust Tips, COLD WEATHER GROUP Engine Block Heater, Heated Front Seats, Windshield Wiper De-Icer, Remote Start System, All-Season Floor Mats, Heated Steering Wheel, TRANSMISSION: 9-SPEED 948TE AUTOMATIC (STD). EXPERTS ARE SAYING Edmunds.com explains The steering is nicely weighted, feels direct, and even transmits some of the road texture to the driver. Bigger bumps are nicely filtered out. It's well-balanced all around, and there's a good sense of center when driving on the highway. . Great Gas Mileage: 27 MPG Hwy. Approx. Original Base Sticker Price: $32,800*. WHO WE ARE At Shelor Motor Mile we have a price and payment to fit any budget. Our big selection means even bigger savings! Need extra spending money? Shelor wants your vehicle, and we're paying top dollar! Tax DMV Fees & $597 processing fee are not included in vehicle prices shown and must be paid by the purchaser. Vehicle information is based off standard equipment and may vary from vehicle to vehicle. Call or email for complete vehicle specific informatio Chevrolet Ford Chrysler Dodge Jeep & Ram prices include current factory rebates and incentives some of which may require financing through the manufacturer and/or the customer must own/trade a certain make of vehicle. Residency restrictions apply see dealer for details and restrictions. All pricing and details are believed to be accurate but we do not warrant or guarantee such accuracy. The prices shown above may vary from region to region as will incentives and are subject to change. Heated Seats, Sunroof, Back-Up Camera, iPod/MP3 Input, Bluetooth, TRANSMISSION: 9-SPEED 948TE AUTOMATIC... ENGINE: 2.0L I4 DOHC DI TURBO W/ESS. Velvet Red Pearl Coat exterior, Altitude trim. EPA 29 MPG Hwy/21 MPG City! CLICK ME! KEY FEATURES INCLUDE 4x4, Back-Up Camera, iPod/MP3 Input, Bluetooth, Aluminum Wheels Rear Spoiler, MP3 Player, Satellite Radio, Keyless Entry, Privacy Glass. OPTION PACKAGES ENGINE: 2.0L I4 DOHC DI TURBO W/ESS Base Insulation Group, 180 Amp Alternator, Dual Bright Exhaust Tips, Active Noise Control System, Acoustic Windshield, POWER FRONT/FIXED REAR FULL SUNROOF, COMFORT/CONVENIENCE GROUP Premium Air Filter, Universal Garage Door Opener, Air Conditioning ATC w/Dual Zone Control, 115V Auxiliary Power Outlet, Rear View Auto Dim Mirror, Remote Start System, Power Liftgate, Humidity Sensor, Security Alarm, COLD WEATHER GROUP Engine Block Heater, Heated Front Seats, Windshield Wiper De-Icer, Remote Start System, All-Season Floor Mats, Heated Steering Wheel, TRANSMISSION: 9-SPEED 948TE AUTOMATIC (STD). EXPERTS CONCLUDE Edmunds.com's review says The steering is nicely weighted, feels direct, and even transmits some of the road texture to the driver. Bigger bumps are nicely filtered out. It's well-balanced all around, and there's a good sense of center when driving on the highway. . Great Gas Mileage: 29 MPG Hwy. Approx. Original Base Sticker Price: $36,600*. VISIT US TODAY At Shelor Motor Mile we have a price and payment to fit any budget. Our big selection means even bigger savings! Need extra spending money? Shelor wants your vehicle, and we're paying top dollar! Tax DMV Fees & $597 processing fee are not included in vehicle prices shown and must be paid by the purchaser. Vehicle information is based off standard equipment and may vary from vehicle to vehicle. Call or email for complete vehicle specific informatio Chevrolet Ford Chrysler Dodge Jeep & Ram prices include current factory rebates and incentives some of which may require financing through the manufacturer and/or the customer must own/trade a certain make of vehicle. Residency restrictions apply see dealer for details and restrictions. All pricing and details are believed to be accurate but we do not warrant or guarantee such accuracy. The prices shown above may vary from region to region as will incentives and are subject to change. Heated Leather Seats, NAV, Premium Sound System, iPod/MP3 Input, Back-Up Camera, ENGINE: 2.0L I4 DOHC DI TURBO W/ESS, Alloy Wheels, Power Liftgate. High Altitude trim, Velvet Red Pearl Coat exterior. EPA 29 MPG Hwy/21 MPG City! CLICK NOW! 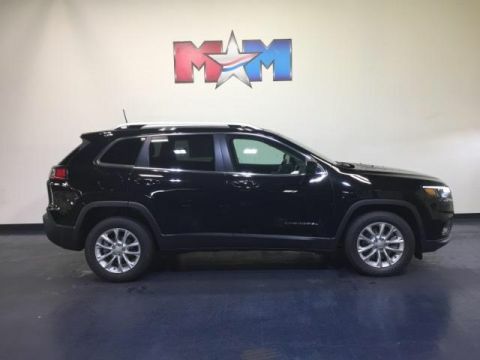 KEY FEATURES INCLUDE Leather Seats, Navigation, 4x4, Power Liftgate, Heated Driver Seat, Back-Up Camera, Premium Sound System, iPod/MP3 Input, Aluminum Wheels, Remote Engine Start, Dual Zone A/C, Blind Spot Monitor, Smart Device Integration, Heated Seats, Heated Leather Seats. Rear Spoiler, MP3 Player, Privacy Glass, Keyless Entry, Remote Trunk Release. OPTION PACKAGES QUICK ORDER PACKAGE 2YP HIGH ALTITUDE Engine: 2.0L I4 DOHC DI Turbo w/ESS, Transmission: 9-Speed 948TE Automatic, Body Color Wheel Flares, Body Color Door Claddings, Granite Crystal Grille Surrounds, Bridgestone Brand Tires, Granite Crystal Rr Fascia Lwr Valance, Gloss Black Rear Fascia Applique, High Altitude Package, Black Day Light Opening Moldings, SiriusXM Travel Link, 5-Year SiriusXM Travel Link Service, 5-Year SiriusXM Traffic Service, 4G LTE Wi-Fi Hot Spot, 1-Year SiriusXM Guardian Trial, HD Radio, SiriusXM Traffic Plus, For Details Visit DriveUconnect.com, GPS Navigation, Body Color Fascias, Granite Crystal Exterior Badging, Granite Crystal Roof Rails, Granite Crystal Exterior Accents, Tungsten Interior Accent Stitching, Anodized Gun Metal Interior Accents, Body Color Ext Sill, ENGINE: 2.0L I4 DOHC DI TURBO W/ESS 3.734 Axle Ratio, Base Insulation Group, 180 Amp Alternator, Active Noise Control System, Acoustic Windshield, TRANSMISSION: 9-SPEED 948TE AUTOMATIC (STD). EXPERTS CONCLUDE Great Gas Mileage: 29 MPG Hwy. Approx. Original Base Sticker Price: $38,000*. Tax DMV Fees & $597 processing fee are not included in vehicle prices shown and must be paid by the purchaser. Vehicle information is based off standard equipment and may vary from vehicle to vehicle. 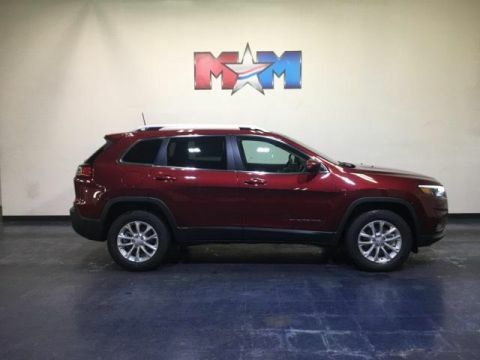 Call or email for complete vehicle specific informatio Chevrolet Ford Chrysler Dodge Jeep & Ram prices include current factory rebates and incentives some of which may require financing through the manufacturer and/or the customer must own/trade a certain make of vehicle. Residency restrictions apply see dealer for details and restrictions. All pricing and details are believed to be accurate but we do not warrant or guarantee such accuracy. The prices shown above may vary from region to region as will incentives and are subject to change. Heated Leather Seats, Navigation, Premium Sound System, iPod/MP3 Input, Back-Up Camera, ENGINE: 2.0L I4 DOHC DI TURBO W/ESS, Aluminum Wheels. Diamond Black Crystal P/C exterior, High Altitude trim. EPA 29 MPG Hwy/21 MPG City! SEE MORE! KEY FEATURES INCLUDE Leather Seats, Navigation, 4x4, Power Liftgate, Heated Driver Seat, Back-Up Camera, Premium Sound System, iPod/MP3 Input, Aluminum Wheels, Remote Engine Start, Dual Zone A/C, Blind Spot Monitor, Smart Device Integration, Heated Seats, Heated Leather Seats Rear Spoiler, MP3 Player, Privacy Glass, Keyless Entry, Remote Trunk Release. OPTION PACKAGES QUICK ORDER PACKAGE 2YP HIGH ALTITUDE Engine: 2.0L I4 DOHC DI Turbo w/ESS, Transmission: 9-Speed 948TE Automatic, Body Color Wheel Flares, Body Color Door Claddings, Granite Crystal Grille Surrounds, Bridgestone Brand Tires, Granite Crystal Rr Fascia Lwr Valance, Gloss Black Rear Fascia Applique, High Altitude Package, Black Day Light Opening Moldings, SiriusXM Travel Link, 5-Year SiriusXM Travel Link Service, 5-Year SiriusXM Traffic Service, 4G LTE Wi-Fi Hot Spot, 1-Year SiriusXM Guardian Trial, HD Radio, SiriusXM Traffic Plus, For Details Visit DriveUconnect.com, GPS Navigation, Body Color Fascias, Granite Crystal Exterior Badging, Granite Crystal Roof Rails, Granite Crystal Exterior Accents, Tungsten Interior Accent Stitching, Anodized Gun Metal Interior Accents, Body Color Ext Sill, ENGINE: 2.0L I4 DOHC DI TURBO W/ESS 3.734 Axle Ratio, Base Insulation Group, 180 Amp Alternator, Active Noise Control System, Acoustic Windshield, TRANSMISSION: 9-SPEED 948TE AUTOMATIC (STD). EXPERTS ARE SAYING Great Gas Mileage: 29 MPG Hwy. Approx. Original Base Sticker Price: $38,000*. Tax DMV Fees & $597 processing fee are not included in vehicle prices shown and must be paid by the purchaser. Vehicle information is based off standard equipment and may vary from vehicle to vehicle. Call or email for complete vehicle specific informatio Chevrolet Ford Chrysler Dodge Jeep & Ram prices include current factory rebates and incentives some of which may require financing through the manufacturer and/or the customer must own/trade a certain make of vehicle. Residency restrictions apply see dealer for details and restrictions. All pricing and details are believed to be accurate but we do not warrant or guarantee such accuracy. The prices shown above may vary from region to region as will incentives and are subject to change. 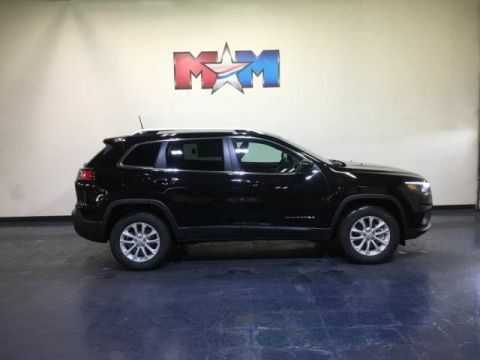 Nav System, Heated Leather Seats, Moonroof, Premium Sound System, iPod/MP3 Input, Back-Up Camera, ENGINE: 3.2L V6 24V VVT W/ESS. FUEL EFFICIENT 27 MPG Hwy/19 MPG City! Pearl White Pearl Coat exterior, High Altitude trim CLICK ME! 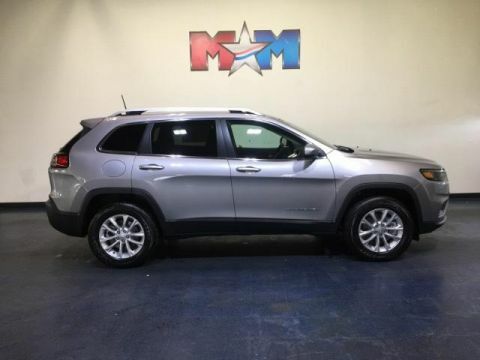 KEY FEATURES INCLUDE Leather Seats, Navigation, 4x4, Power Liftgate, Heated Driver Seat, Back-Up Camera, Premium Sound System, iPod/MP3 Input, Aluminum Wheels, Remote Engine Start, Dual Zone A/C, Smart Device Integration, Blind Spot Monitor, Heated Seats, Heated Leather Seats. Rear Spoiler, MP3 Player, Remote Trunk Release, Keyless Entry, Privacy Glass. OPTION PACKAGES QUICK ORDER PACKAGE 26P HIGH ALTITUDE Engine: 3.2L V6 24V VVT w/ESS, Transmission: 9-Speed 948TE Automatic, Body Color Wheel Flares, Body Color Door Claddings, Granite Crystal Grille Surrounds, Bridgestone Brand Tires, Granite Crystal Rr Fascia Lwr Valance, Gloss Black Rear Fascia Applique, High Altitude Package, Black Day Light Opening Moldings, SiriusXM Travel Link, 5-Year SiriusXM Travel Link Service, 5-Year SiriusXM Traffic Service, 4G LTE Wi-Fi Hot Spot, 1-Year SiriusXM Guardian Trial, HD Radio, SiriusXM Traffic Plus, For Details Visit DriveUconnect.com, GPS Navigation, Body Color Fascias, Granite Crystal Exterior Badging, Granite Crystal Roof Rails, Granite Crystal Exterior Accents, Tungsten Interior Accent Stitching, Anodized Gun Metal Interior Accents, Body Color Ext Sill Moldings, POWER FRONT/FIXED REAR FULL SUNROOF, TRANSMISSION: 9-SPEED 948TE AUTOMATIC (STD), ENGINE: 3.2L V6 24V VVT W/ESS (STD). MORE ABOUT US At Shelor Motor Mile we have a price and payment to fit any budget. Our big selection means even bigger savings! Need extra spending money? Shelor wants your vehicle, and we're paying top dollar! Tax DMV Fees & $597 processing fee are not included in vehicle prices shown and must be paid by the purchaser. Vehicle information is based off standard equipment and may vary from vehicle to vehicle. Call or email for complete vehicle specific informatio Chevrolet Ford Chrysler Dodge Jeep & Ram prices include current factory rebates and incentives some of which may require financing through the manufacturer and/or the customer must own/trade a certain make of vehicle. Residency restrictions apply see dealer for details and restrictions. All pricing and details are believed to be accurate but we do not warrant or guarantee such accuracy. The prices shown above may vary from region to region as will incentives and are subject to change. NAV, Sunroof, Heated Seats, Back-Up Camera, 4x4, Dual Zone A/C, iPod/MP3 Input, TRAILER TOW GROUP, COLD WEATHER GROUP, Alloy Wheels. 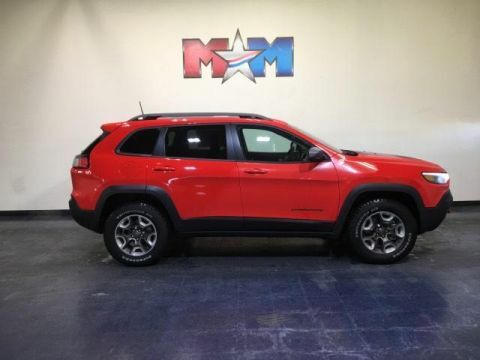 Trailhawk trim, Firecracker Red C/C exterior and Black interior. EPA 24 MPG Hwy/18 MPG City! AND MORE! KEY FEATURES INCLUDE 4x4, Back-Up Camera, iPod/MP3 Input, Aluminum Wheels, Dual Zone A/C, Blind Spot Monitor, Smart Device Integration. Rear Spoiler, MP3 Player, Keyless Entry, Privacy Glass, Steering Wheel Controls. OPTION PACKAGES POWER FRONT/FIXED REAR FULL SUNROOF, COMFORT/CONVENIENCE GROUP Universal Garage Door Opener, Rear View Auto Dim Mirror, Remote Start System, Power Liftgate, Security Alarm, RADIO: UCONNECT 4C NAV W/8.4 DISPLAY SiriusXM Travel Link, 5-Year SiriusXM Travel Link Service, 5-Year SiriusXM Traffic Service, 4G LTE Wi-Fi Hot Spot, 1-Year SiriusXM Guardian Trial, HD Radio, SiriusXM Traffic Plus, For Details Visit DriveUconnect.com, GPS Navigation, TRAILER TOW GROUP 7 & 4 Pin Wiring Harness, Trailer Tow Wiring Harness, Class III Receiver Hitch, COLD WEATHER GROUP Engine Block Heater, Heated Front Seats, Windshield Wiper De-Icer, Heated Steering Wheel, TRANSMISSION: 9-SPEED 948TE AUTO W/ACTIVE DRIVE II (STD), ENGINE: 3.2L V6 24V VVT W/ESS (STD). 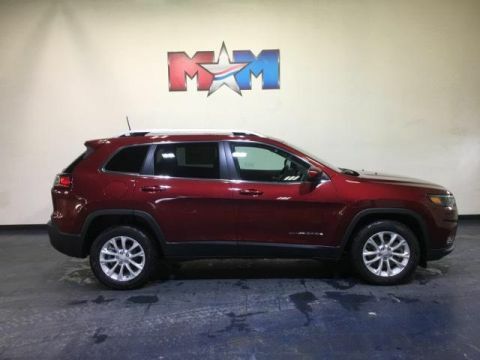 Jeep Trailhawk with Firecracker Red C/C exterior and Black interior features a V6 Cylinder Engine with 271 HP at 6500 RPM*. EXPERTS ARE SAYING Edmunds.com explains The steering is nicely weighted, feels direct Great Gas Mileage: 24 MPG Hwy. Approx. Original Base Sticker Price: $40,100*. MORE ABOUT US At Shelor Motor Mile we have a price and payment to fit any budget. Our big selection means even bigger savings! Need extra spending money? Shelor wants your vehicle, and we're paying top dollar! Tax DMV Fees & $597 processing fee are not included in vehicle prices shown and must be paid by the purchaser. Vehicle information is based off standard equipment and may vary from vehicle to vehicle. Call or email for complete vehicle specific informatio Chevrolet Ford Chrysler Dodge Jeep & Ram prices include current factory rebates and incentives some of which may require financing through the manufacturer and/or the customer must own/trade a certain make of vehicle. Residency restrictions apply see dealer for details and restrictions. All pricing and details are believed to be accurate but we do not warrant or guarantee such accuracy. The prices shown above may vary from region to region as will incentives and are subject to change. 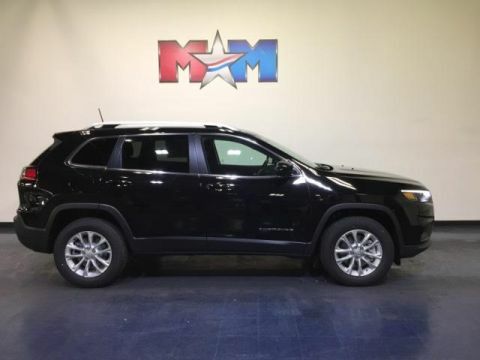 NAV, Sunroof, Heated Seats, Back-Up Camera, Blind Spot Monitor, Dual Zone A/C, iPod/MP3 Input. FUEL EFFICIENT 24 MPG Hwy/18 MPG City! 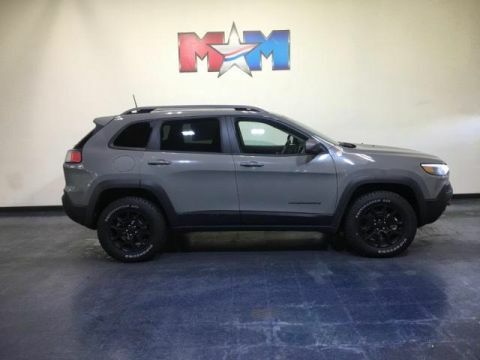 Sting exterior and BLACK, CLOTH/PREMIUM VINYL BUCKET SEATS interior, Trailhawk trim CLICK NOW! KEY FEATURES INCLUDE 4x4, Back-Up Camera, iPod/MP3 Input, Dual Zone A/C, Blind Spot Monitor, Smart Device Integration Rear Spoiler, MP3 Player, Keyless Entry, Privacy Glass, Child Safety Locks. OPTION PACKAGES POWER FRONT/FIXED REAR FULL SUNROOF, COMFORT/CONVENIENCE GROUP Universal Garage Door Opener, Rear View Auto Dim Mirror, Remote Start System, Power Liftgate, Security Alarm, RADIO: UCONNECT 4C NAV W/8.4 DISPLAY SiriusXM Travel Link, 5-Year SiriusXM Travel Link Service, 5-Year SiriusXM Traffic Service, 4G LTE Wi-Fi Hot Spot, 1-Year SiriusXM Guardian Trial, HD Radio, SiriusXM Traffic Plus, For Details Visit DriveUconnect.com, GPS Navigation, TRAILER TOW GROUP 7 & 4 Pin Wiring Harness, Trailer Tow Wiring Harness, Class III Receiver Hitch, COLD WEATHER GROUP Engine Block Heater, Heated Front Seats, Windshield Wiper De-Icer, Heated Steering Wheel, WHEELS: 17 X 7.5 BLACK PAINTED ALUMINUM, TRANSMISSION: 9-SPEED 948TE AUTO W/ACTIVE DRIVE II (STD), ENGINE: 3.2L V6 24V VVT W/ESS (STD). 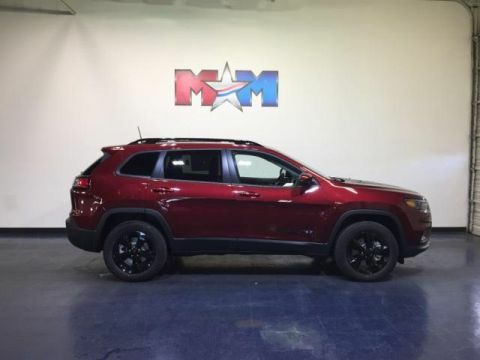 Jeep Trailhawk with Sting exterior and BLACK, CLOTH/PREMIUM VINYL BUCKET SEATS interior features a V6 Cylinder Engine with 271 HP at 6500 RPM*. 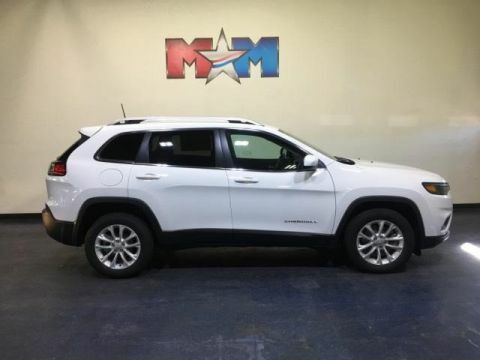 EXPERTS REPORT Edmunds.com's review says The steering is nicely weighted Great Gas Mileage: 24 MPG Hwy. Approx. Original Base Sticker Price: $40,800*. WHO WE ARE At Shelor Motor Mile we have a price and payment to fit any budget. Our big selection means even bigger savings! Need extra spending money? Shelor wants your vehicle, and we're paying top dollar! Tax DMV Fees & $597 processing fee are not included in vehicle prices shown and must be paid by the purchaser. Vehicle information is based off standard equipment and may vary from vehicle to vehicle. Call or email for complete vehicle specific informatio Chevrolet Ford Chrysler Dodge Jeep & Ram prices include current factory rebates and incentives some of which may require financing through the manufacturer and/or the customer must own/trade a certain make of vehicle. Residency restrictions apply see dealer for details and restrictions. All pricing and details are believed to be accurate but we do not warrant or guarantee such accuracy. The prices shown above may vary from region to region as will incentives and are subject to change. 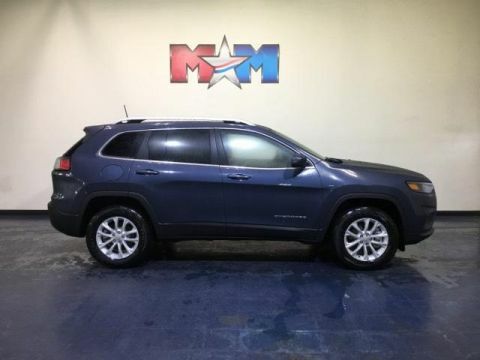 Sunroof, Heated Leather Seats, NAV, Back-Up Camera, iPod/MP3 Input, Remote Engine Start, TRANSMISSION: 9-SPEED 948TE AUTOMATIC... 4x4. FUEL EFFICIENT 27 MPG Hwy/19 MPG City! Limited trim, Bright White Clear Coat exterior AND MORE! KEY FEATURES INCLUDE Leather Seats, 4x4, Back-Up Camera, iPod/MP3 Input, Aluminum Wheels, Remote Engine Start, Dual Zone A/C, Smart Device Integration, Blind Spot Monitor, Heated Leather Seats Rear Spoiler, MP3 Player, Privacy Glass, Keyless Entry, Child Safety Locks. OPTION PACKAGES POWER FRONT/FIXED REAR FULL SUNROOF, LUXURY GROUP Ventilated Front Seats, Tonneau Cover, Fore/Aft Adjusting 2nd Row Seat, Hands-Free Power Liftgate, Carpeted Cargo Area Trim Panels, TECHNOLOGY GROUP Lane Departure Warning Plus, Auto High Beam Headlamp Control, Rain Sensitive Windshield Wipers, Adaptive Cruise Control w/Stop & Go, Advanced Brake Assist, Full Speed Forward Collision Warning Plus, Side Distance Warning, Parallel/Perpendicular Park/Unpark Assist w/Stop, RADIO: UCONNECT 4C NAV W/8.4 DISPLAY SiriusXM Travel Link, 5-Year SiriusXM Travel Link Service, 5-Year SiriusXM Traffic Service, 4G LTE Wi-Fi Hot Spot, 1-Year SiriusXM Guardian Trial, HD Radio, SiriusXM Traffic Plus, For Details Visit DriveUconnect.com, GPS Navigation, TRANSMISSION: 9-SPEED 948TE AUTOMATIC (STD), ENGINE: 3.2L V6 24V VVT W/ESS (STD). EXPERTS RAVE The steering is nicely weighted, feels direct Great Gas Mileage: 27 MPG Hwy. Approx. Original Base Sticker Price: $40,700*. BUY FROM AN AWARD WINNING DEALER At Shelor Motor Mile we have a price and payment to fit any budget. Our big selection means even bigger savings! Need extra spending money? Shelor wants your vehicle, and we're paying top dollar! Tax DMV Fees & $597 processing fee are not included in vehicle prices shown and must be paid by the purchaser. Vehicle information is based off standard equipment and may vary from vehicle to vehicle. Call or email for complete vehicle specific informatio Chevrolet Ford Chrysler Dodge Jeep & Ram prices include current factory rebates and incentives some of which may require financing through the manufacturer and/or the customer must own/trade a certain make of vehicle. Residency restrictions apply see dealer for details and restrictions. All pricing and details are believed to be accurate but we do not warrant or guarantee such accuracy. The prices shown above may vary from region to region as will incentives and are subject to change. 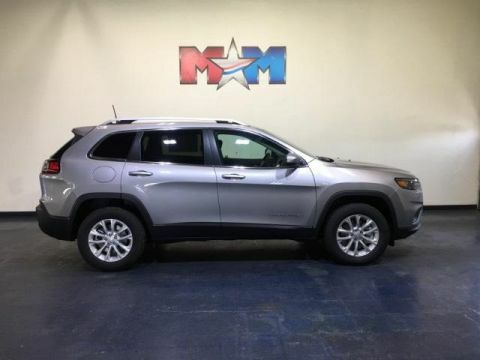 Nav System, Heated Leather Seats, Moonroof, Heated Rear Seat, Power Liftgate, POWER FRONT/FIXED REAR FULL SUNROOF, ENGINE: 2.0L I4 DOHC DI TURBO W/ESS. Velvet Red Pearl Coat exterior, Overland trim. EPA 29 MPG Hwy/21 MPG City! CLICK NOW! 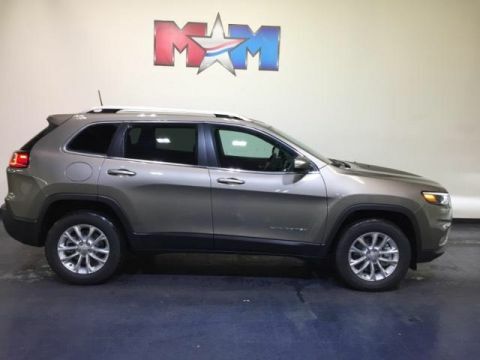 KEY FEATURES INCLUDE Leather Seats, Navigation, 4x4, Power Liftgate, Heated Driver Seat, Heated Rear Seat, Cooled Driver Seat, Back-Up Camera, Premium Sound System, iPod/MP3 Input, Onboard Communications System, Aluminum Wheels, Remote Engine Start, Dual Zone A/C, Heated Seats. Rear Spoiler, MP3 Player, Satellite Radio, Remote Trunk Release, Privacy Glass. 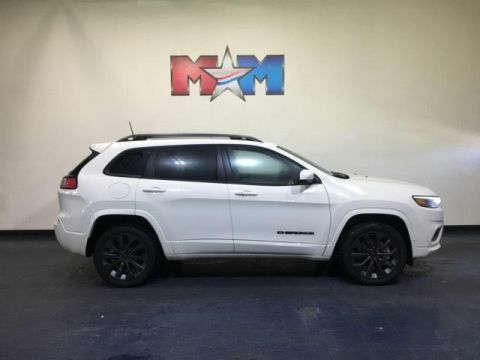 OPTION PACKAGES POWER FRONT/FIXED REAR FULL SUNROOF, ENGINE: 2.0L I4 DOHC DI TURBO W/ESS 3.734 Axle Ratio, 180 Amp Alternator, Active Noise Control System, TRANSMISSION: 9-SPEED 948TE AUTOMATIC (STD). EXPERTS RAVE Edmunds.com explains The steering is nicely weighted, feels direct, and even transmits some of the road texture to the driver. Bigger bumps are nicely filtered out. It's well-balanced all around, and there's a good sense of center when driving on the highway. . Great Gas Mileage: 29 MPG Hwy. Approx. Original Base Sticker Price: $41,300*. MORE ABOUT US At Shelor Motor Mile we have a price and payment to fit any budget. Our big selection means even bigger savings! Need extra spending money? Shelor wants your vehicle, and we're paying top dollar! Tax DMV Fees & $597 processing fee are not included in vehicle prices shown and must be paid by the purchaser. Vehicle information is based off standard equipment and may vary from vehicle to vehicle. Call or email for complete vehicle specific informatio Chevrolet Ford Chrysler Dodge Jeep & Ram prices include current factory rebates and incentives some of which may require financing through the manufacturer and/or the customer must own/trade a certain make of vehicle. Residency restrictions apply see dealer for details and restrictions. All pricing and details are believed to be accurate but we do not warrant or guarantee such accuracy. The prices shown above may vary from region to region as will incentives and are subject to change. 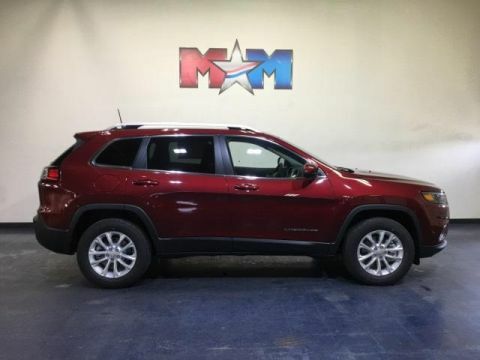 Nav System, Moonroof, Heated Leather Seats, 4x4, Back-Up Camera, iPod/MP3 Input, Aluminum Wheels, TRAILER TOW GROUP, TRANSMISSION: 9-SPEED 948TE AUTOMATIC... Limited trim, Sting exterior. FUEL EFFICIENT 27 MPG Hwy/19 MPG City! READ MORE! KEY FEATURES INCLUDE Leather Seats, 4x4, Back-Up Camera, iPod/MP3 Input, Aluminum Wheels, Remote Engine Start, Dual Zone A/C, Blind Spot Monitor, Smart Device Integration, Heated Leather Seats Rear Spoiler, MP3 Player, Keyless Entry, Privacy Glass, Child Safety Locks. OPTION PACKAGES POWER FRONT/FIXED REAR FULL SUNROOF, LUXURY GROUP Ventilated Front Seats, Tonneau Cover, Fore/Aft Adjusting 2nd Row Seat, Hands-Free Power Liftgate, Carpeted Cargo Area Trim Panels, TECHNOLOGY GROUP Lane Departure Warning Plus, Auto High Beam Headlamp Control, Rain Sensitive Windshield Wipers, Adaptive Cruise Control w/Stop & Go, Advanced Brake Assist, Full Speed Forward Collision Warning Plus, Side Distance Warning, Parallel/Perpendicular Park/Unpark Assist w/Stop, RADIO: UCONNECT 4C NAV W/8.4 DISPLAY SiriusXM Travel Link, 5-Year SiriusXM Travel Link Service, 5-Year SiriusXM Traffic Service, 4G LTE Wi-Fi Hot Spot, 1-Year SiriusXM Guardian Trial, HD Radio, SiriusXM Traffic Plus, For Details Visit DriveUconnect.com, GPS Navigation, TRAILER TOW GROUP 7 & 4 Pin Wiring Harness, Heavy Duty Engine Cooling, Trailer Tow Wiring Harness, Class III Receiver Hitch, Full Size Spare Tire, TRANSMISSION: 9-SPEED 948TE AUTOMATIC (STD), ENGINE: 3.2L V6 24V VVT W/ESS (STD). BUY FROM AN AWARD WINNING DEALER At Shelor Motor Mile we have a price and payment to fit any budget. Our big selection means even bigger savings! Need extra spending money? Shelor wants your vehicle, and we're paying top dollar! Tax DMV Fees & $597 processing fee are not included in vehicle prices shown and must be paid by the purchaser. Vehicle information is based off standard equipment and may vary from vehicle to vehicle. 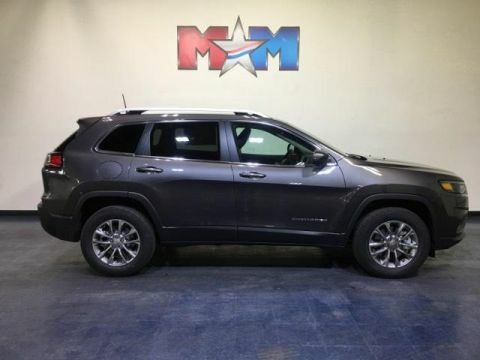 Call or email for complete vehicle specific informatio Chevrolet Ford Chrysler Dodge Jeep & Ram prices include current factory rebates and incentives some of which may require financing through the manufacturer and/or the customer must own/trade a certain make of vehicle. Residency restrictions apply see dealer for details and restrictions. All pricing and details are believed to be accurate but we do not warrant or guarantee such accuracy. The prices shown above may vary from region to region as will incentives and are subject to change. Heated Leather Seats, Moonroof, Nav System, 4x4, iPod/MP3 Input, Back-Up Camera, Aluminum Wheels, TRAILER TOW GROUP, TECHNOLOGY GROUP. FUEL EFFICIENT 27 MPG Hwy/19 MPG City! Limited trim, Velvet Red Pearl Coat exterior SEE MORE! 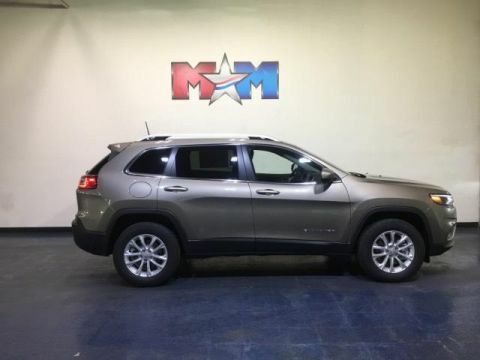 KEY FEATURES INCLUDE Leather Seats, 4x4, Back-Up Camera, iPod/MP3 Input, Aluminum Wheels, Remote Engine Start, Dual Zone A/C, Blind Spot Monitor, Smart Device Integration, Heated Leather Seats. Rear Spoiler, MP3 Player, Keyless Entry, Privacy Glass, Child Safety Locks. OPTION PACKAGES POWER FRONT/FIXED REAR FULL SUNROOF, LUXURY GROUP Ventilated Front Seats, Tonneau Cover, Fore/Aft Adjusting 2nd Row Seat, Hands-Free Power Liftgate, Carpeted Cargo Area Trim Panels, TECHNOLOGY GROUP Lane Departure Warning Plus, Auto High Beam Headlamp Control, Rain Sensitive Windshield Wipers, Adaptive Cruise Control w/Stop & Go, Advanced Brake Assist, Full Speed Forward Collision Warning Plus, Side Distance Warning, Parallel/Perpendicular Park/Unpark Assist w/Stop, RADIO: UCONNECT 4C NAV W/8.4 DISPLAY SiriusXM Travel Link, 5-Year SiriusXM Travel Link Service, 5-Year SiriusXM Traffic Service, 4G LTE Wi-Fi Hot Spot, 1-Year SiriusXM Guardian Trial, HD Radio, SiriusXM Traffic Plus, For Details Visit DriveUconnect.com, GPS Navigation, TRAILER TOW GROUP 7 & 4 Pin Wiring Harness, Heavy Duty Engine Cooling, Trailer Tow Wiring Harness, Class III Receiver Hitch, Full Size Spare Tire, TRANSMISSION: 9-SPEED 948TE AUTOMATIC (STD), ENGINE: 3.2L V6 24V VVT W/ESS (STD). VISIT US TODAY At Shelor Motor Mile we have a price and payment to fit any budget. Our big selection means even bigger savings! Need extra spending money? Shelor wants your vehicle, and we're paying top dollar! Tax DMV Fees & $597 processing fee are not included in vehicle prices shown and must be paid by the purchaser. Vehicle information is based off standard equipment and may vary from vehicle to vehicle. Call or email for complete vehicle specific informatio Chevrolet Ford Chrysler Dodge Jeep & Ram prices include current factory rebates and incentives some of which may require financing through the manufacturer and/or the customer must own/trade a certain make of vehicle. Residency restrictions apply see dealer for details and restrictions. All pricing and details are believed to be accurate but we do not warrant or guarantee such accuracy. The prices shown above may vary from region to region as will incentives and are subject to change. Heated Leather Seats, NAV, Sunroof, 4x4, Back-Up Camera, iPod/MP3 Input, Alloy Wheels, TRAILER TOW GROUP, TECHNOLOGY GROUP. Billet Silver Metallic Clear Coat exterior, Limited trim. FUEL EFFICIENT 27 MPG Hwy/19 MPG City! READ MORE! 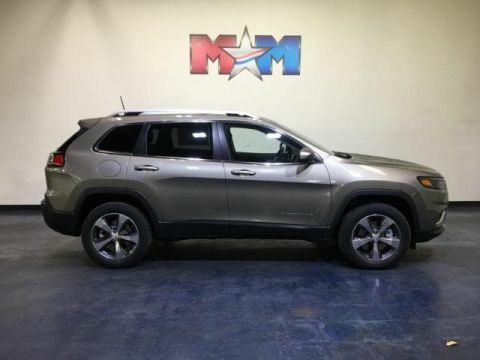 KEY FEATURES INCLUDE Leather Seats, 4x4, Back-Up Camera, iPod/MP3 Input, Aluminum Wheels, Remote Engine Start, Dual Zone A/C, Blind Spot Monitor, Smart Device Integration, Heated Leather Seats. Rear Spoiler, MP3 Player, Keyless Entry, Privacy Glass, Child Safety Locks. OPTION PACKAGES POWER FRONT/FIXED REAR FULL SUNROOF, LUXURY GROUP Ventilated Front Seats, Tonneau Cover, Fore/Aft Adjusting 2nd Row Seat, Hands-Free Power Liftgate, Carpeted Cargo Area Trim Panels, TECHNOLOGY GROUP Lane Departure Warning Plus, Auto High Beam Headlamp Control, Rain Sensitive Windshield Wipers, Adaptive Cruise Control w/Stop & Go, Advanced Brake Assist, Full Speed Forward Collision Warning Plus, Side Distance Warning, Parallel/Perpendicular Park/Unpark Assist w/Stop, RADIO: UCONNECT 4C NAV W/8.4 DISPLAY SiriusXM Travel Link, 5-Year SiriusXM Travel Link Service, 5-Year SiriusXM Traffic Service, 4G LTE Wi-Fi Hot Spot, 1-Year SiriusXM Guardian Trial, HD Radio, SiriusXM Traffic Plus, For Details Visit DriveUconnect.com, GPS Navigation, TRAILER TOW GROUP 7 & 4 Pin Wiring Harness, Heavy Duty Engine Cooling, Trailer Tow Wiring Harness, Class III Receiver Hitch, Full Size Spare Tire, TRANSMISSION: 9-SPEED 948TE AUTOMATIC (STD), ENGINE: 3.2L V6 24V VVT W/ESS (STD). BUY FROM AN AWARD WINNING DEALER At Shelor Motor Mile we have a price and payment to fit any budget. Our big selection means even bigger savings! Need extra spending money? Shelor wants your vehicle, and we're paying top dollar! Tax DMV Fees & $597 processing fee are not included in vehicle prices shown and must be paid by the purchaser. Vehicle information is based off standard equipment and may vary from vehicle to vehicle. Call or email for complete vehicle specific informatio Chevrolet Ford Chrysler Dodge Jeep & Ram prices include current factory rebates and incentives some of which may require financing through the manufacturer and/or the customer must own/trade a certain make of vehicle. Residency restrictions apply see dealer for details and restrictions. All pricing and details are believed to be accurate but we do not warrant or guarantee such accuracy. The prices shown above may vary from region to region as will incentives and are subject to change. Heated Leather Seats, Moonroof, Navigation, 4x4, iPod/MP3 Input, Back-Up Camera, Aluminum Wheels, TRAILER TOW GROUP, TECHNOLOGY GROUP. EPA 27 MPG Hwy/19 MPG City! Limited trim, Light Brownstone Pearl Coat exterior. CLICK ME! 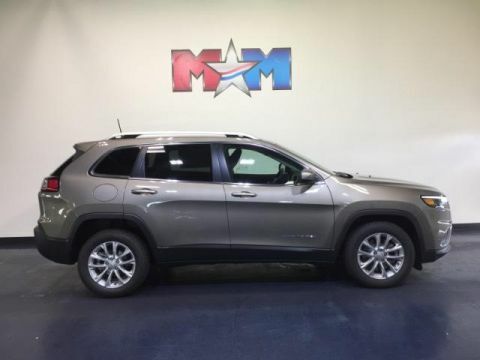 KEY FEATURES INCLUDE Leather Seats, 4x4, Back-Up Camera, iPod/MP3 Input, Aluminum Wheels, Remote Engine Start, Dual Zone A/C, Blind Spot Monitor, Smart Device Integration, Heated Leather Seats. Rear Spoiler, MP3 Player, Keyless Entry, Privacy Glass, Child Safety Locks. OPTION PACKAGES POWER FRONT/FIXED REAR FULL SUNROOF, LUXURY GROUP Ventilated Front Seats, Tonneau Cover, Fore/Aft Adjusting 2nd Row Seat, Hands-Free Power Liftgate, Carpeted Cargo Area Trim Panels, TECHNOLOGY GROUP Lane Departure Warning Plus, Auto High Beam Headlamp Control, Rain Sensitive Windshield Wipers, Adaptive Cruise Control w/Stop & Go, Advanced Brake Assist, Full Speed Forward Collision Warning Plus, Side Distance Warning, Parallel/Perpendicular Park/Unpark Assist w/Stop, RADIO: UCONNECT 4C NAV W/8.4 DISPLAY SiriusXM Travel Link, 5-Year SiriusXM Travel Link Service, 5-Year SiriusXM Traffic Service, 4G LTE Wi-Fi Hot Spot, 1-Year SiriusXM Guardian Trial, HD Radio, SiriusXM Traffic Plus, For Details Visit DriveUconnect.com, GPS Navigation, TRAILER TOW GROUP 7 & 4 Pin Wiring Harness, Heavy Duty Engine Cooling, Trailer Tow Wiring Harness, Class III Receiver Hitch, Full Size Spare Tire, TRANSMISSION: 9-SPEED 948TE AUTOMATIC (STD), ENGINE: 3.2L V6 24V VVT W/ESS (STD). Approx. Original Base Sticker Price: $41,500*. OUR OFFERINGS At Shelor Motor Mile we have a price and payment to fit any budget. Our big selection means even bigger savings! Need extra spending money? Shelor wants your vehicle, and we're paying top dollar! Tax DMV Fees & $597 processing fee are not included in vehicle prices shown and must be paid by the purchaser. Vehicle information is based off standard equipment and may vary from vehicle to vehicle. Call or email for complete vehicle specific informatio Chevrolet Ford Chrysler Dodge Jeep & Ram prices include current factory rebates and incentives some of which may require financing through the manufacturer and/or the customer must own/trade a certain make of vehicle. Residency restrictions apply see dealer for details and restrictions. All pricing and details are believed to be accurate but we do not warrant or guarantee such accuracy. The prices shown above may vary from region to region as will incentives and are subject to change. Nav System, Heated Seats, Dual Zone A/C, iPod/MP3 Input, Blind Spot Monitor, Smart Device Integration, Back-Up Camera, TRAILER TOW GROUP. 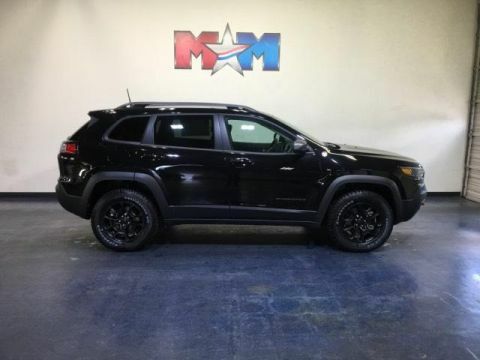 Trailhawk Elite trim, Diamond Black Crystal P/C exterior. EPA 24 MPG Hwy/18 MPG City! AND MORE! KEY FEATURES INCLUDE 4x4, Back-Up Camera, iPod/MP3 Input, Dual Zone A/C, Blind Spot Monitor, Smart Device Integration Rear Spoiler, MP3 Player, Privacy Glass, Keyless Entry, Child Safety Locks. 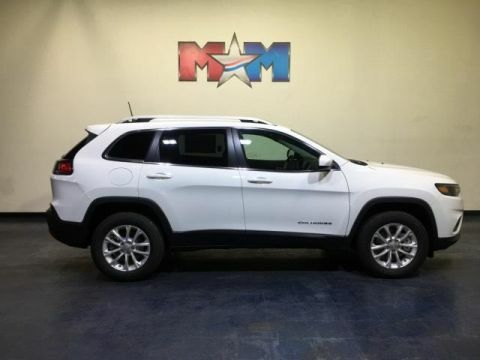 OPTION PACKAGES QUICK ORDER PACKAGE 27L TRAILHAWK ELITE Engine: 3.2L V6 24V VVT w/ESS, Transmission: 9-Speed 948TE Auto w/Active Drive II, Ventilated Front Seats, Windshield Wiper De-Icer, Heated Steering Wheel, Hands-Free Power Liftgate, Tonneau Cover, Exterior Mirrors w/Memory, Heated Front Seats, Universal Garage Door Opener, Power Driver/Passenger 4-Way Lumbar Adjust, Remote Start System, Rear View Auto Dim Mirror, Power Front Driver/Passenger Seats, Radio/Driver Seat/Exterior Mirrors Memory, Security Alarm, TECHNOLOGY GROUP Lane Departure Warning Plus, Auto High Beam Headlamp Control, Rain Sensitive Windshield Wipers, Adaptive Cruise Control w/Stop & Go, Advanced Brake Assist, Full Speed Forward Collision Warning Plus, Side Distance Warning, Parallel/Perpendicular Park/Unpark Assist w/Stop, RADIO: UCONNECT 4C NAV W/8.4 DISPLAY SiriusXM Travel Link, 5-Year SiriusXM Travel Link Service, 5-Year SiriusXM Traffic Service, 4G LTE Wi-Fi Hot Spot, 1-Year SiriusXM Guardian Trial, HD Radio, SiriusXM Traffic Plus, For Details Visit DriveUconnect.com, GPS Navigation, TRAILER TOW GROUP 7 & 4 Pin Wiring Harness, Trailer Tow Wiring Harness, Class III Receiver Hitch, WHEELS: 17 X 7.5 BLACK PAINTED ALUMINUM, TRANSMISSION: 9-SPEED 948TE AUTO W/ACTIVE DRIVE II (STD), ENGINE: 3.2L V6 24V VVT W/ESS (STD). Tax DMV Fees & $597 processing fee are not included in vehicle prices shown and must be paid by the purchaser. Vehicle information is based off standard equipment and may vary from vehicle to vehicle. Call or email for complete vehicle specific informatio Chevrolet Ford Chrysler Dodge Jeep & Ram prices include current factory rebates and incentives some of which may require financing through the manufacturer and/or the customer must own/trade a certain make of vehicle. Residency restrictions apply see dealer for details and restrictions. All pricing and details are believed to be accurate but we do not warrant or guarantee such accuracy. The prices shown above may vary from region to region as will incentives and are subject to change.